BlizzCon’s Overwatch segment from the opening ceremony had a superb animated short focussed on McCree that introduced us to Ashe. 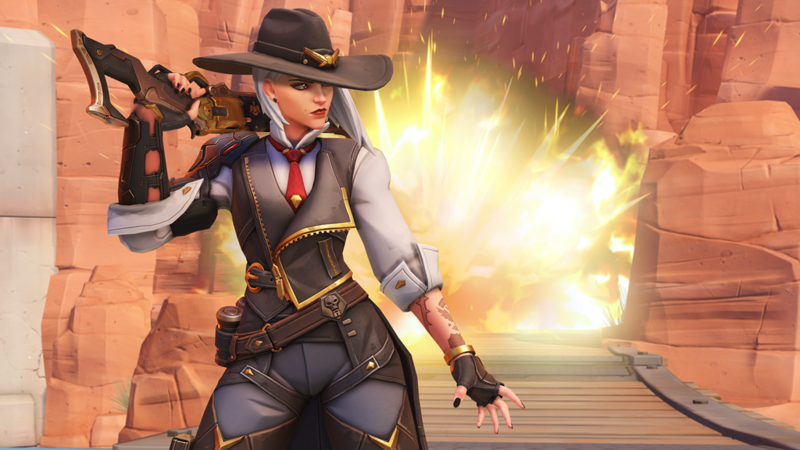 Ashe is the 29th hero in Overwatch. Blizzard also partnered with Kellogg’s to bring out Lucio-Oh’s bringing Lucio’s spray to real life through cereal. This is releasing beginning next month only in the USA right now. Overwatch is available on PS4, Xbox One, and PC. 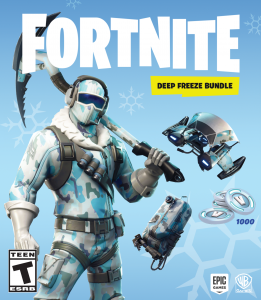 The Game of the Year Edition recently released on consoles and PC in India while there even is a Legendary Edition available for PC that includes legendary and epic skins. Warcraft III: Reforged has two editions. 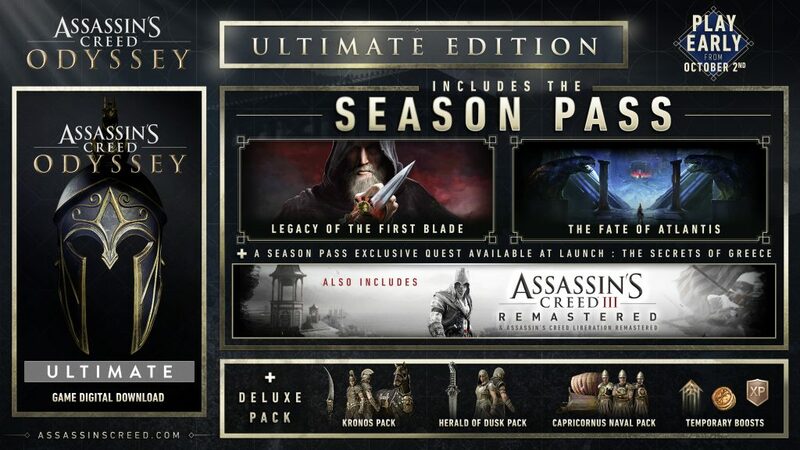 The base game costs $29.99 and the Spoils of War Edition costs $39.99. This includes the base game, unique skins for four hero units, in game bonuses for other Blizzard games. Warcraft III: Reforged releases in 2019. When it comes to games “perfect” for the Switch that haven’t seen ports yet, very few games remain at this stage. Spelunky is probably on the top of my list but Diablo III was pretty far up. Overwatch and Diablo III both seemed like games I’d love to play on Switch given how much I’ve played them on other platforms but no one really expected anything until speculation began when the Diablo Twitter account posted that image that seemed like a tease for a Switch port. Thankfully Diablo III on Switch is real and spectacular. This release is the Eternal Collection with a few Switch exclusives. 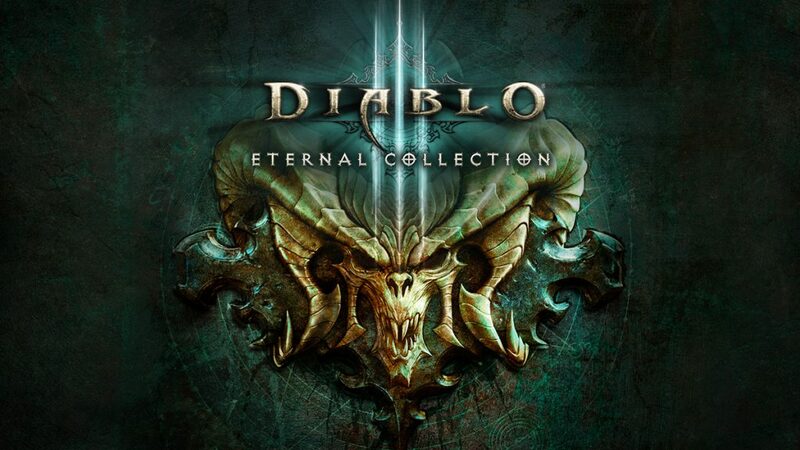 Diablo III: Eternal Collection on Switch includes the base game, the Reaper of Souls expansion, the Rise of the Necromancer DLC all on the cartridge from the get go. 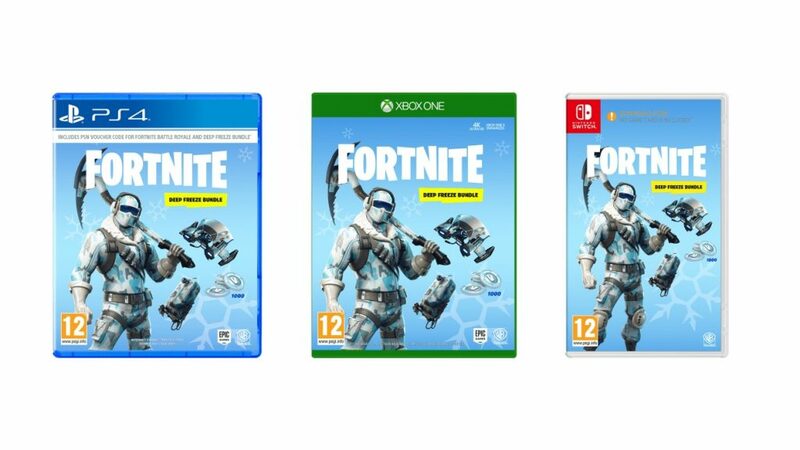 The Switch version will be the first time this is releasing at retail in India as well since the PS4 and Xbox One versions never made it here officially. It also includes updates bringing it up to speed with other consoles and Adventure Mode is unlocked from the get go which is always great. Most delayed ports on Switch have some exclusives. While there are already loads of exclusives in sheer co-op possibilities through local wireless that isn’t possible on other platforms, the Switch version of Diablo III has a few cosmetic extras like a cosmetic armor set based on Ganondorf, a Triforce frame, a Cucco pet, and more from The Legend of Zelda franchise. Online co-op gave me a ton of trouble on PS4 when the Ultimate Evil Edition launched. The Switch version in its current state is like a whole other game. I managed connecting to a friend’s game almost instantly. The real draw of the Switch version is the local co-op options. You can play on a single Switch with a single Joy-Con alongside a friend or connect locally through wireless to play with a friend on another console. With all these options to play with friends and the port being this good, Diablo III on Switch is my favourite console version of the game by far after owning it on both PS4 and Xbox One before this. Visually, I’m super impressed with the port in handheld mode. Diablo III uses some scaling in both handheld and docked modes but it is a little less noticeable in handheld mode given the screen size. The important thing is performance almost never falters. Iron Galaxy already did a great job with Skyrim. This is probably their best port yet. The framerate even held up with same screen handheld co-op with a single Joy-Con each. Having to flick to roll with the lack of a second analog stick isn’t fun though so I’d recommend having a set of two Joy-Cons each or a Pro controller. When you go docked, things are a bit different. Diablo III on Switch isn’t as sharp as other consoles docked and the adaptive resolution scaling is a bit more noticeable. This price is still worth it for that smooth performance. Diablo III’s music is pretty great even though I don’t really listen to it outside the game but I had one concern about the audio in general. Dark Souls: Remastered has horrible audio if you play with headphones or docked for that matter. Diablo III thankfully sounds great. Blizzard did say you will need an additional download for other languages if you want more than English. Diablo III on Switch has one annoying problem. The B and A inconsistency. To talk to people you press one button and need to press the other to advance conversations. This affects Dark Souls: Remastered on Switch as well but that port has a lot more issues than just this. I hope a future patch addresses this in Diablo III because it is annoying. The Switch uses A to confirm on a system level and that is what Diablo III should use to advance dialogue and to interact with things. The lack of any touchscreen use while expected is a bit disappointing. Being able to tap the map or pan around the map would have been useful with touch. The final annoyance is one that most people won’t care about. I love good game interfaces and icons. Diablo III’s icon is pretty terrible. 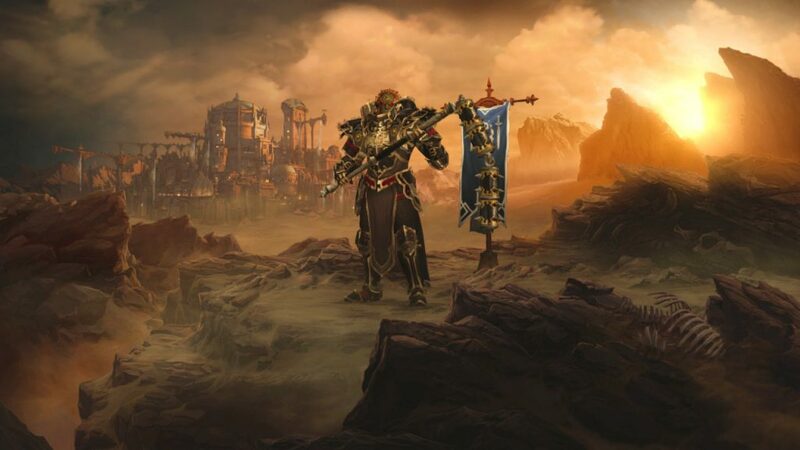 Overall, Diablo III: Eternal Collection is not just a fantastic value proposition but a near perfect conversion for the Switch. 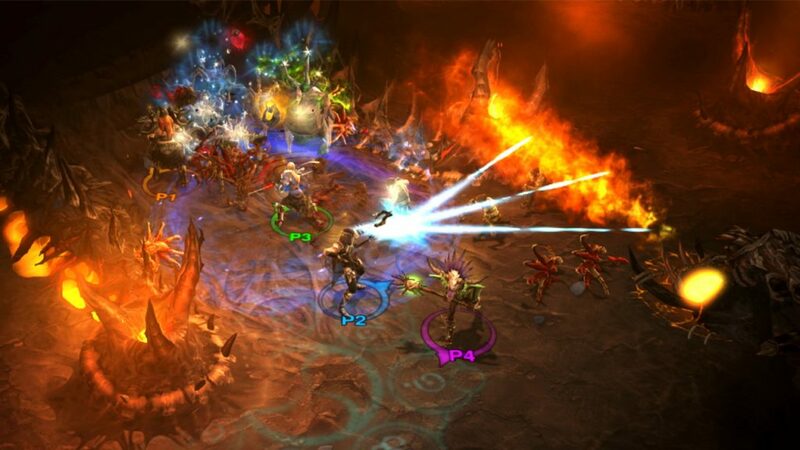 Diablo III on consoles has always been a superb pickup and play and co-op experience. That is magnified by how well the Switch handles all the combinations for online and co-op. This is easily one of the best conversions the Switch has seen ever. Iron Galaxy and Blizzard have done an excellent job. I hope the button inconsistencies and the icon are addressed soon because this has very little holding it back from perfection. 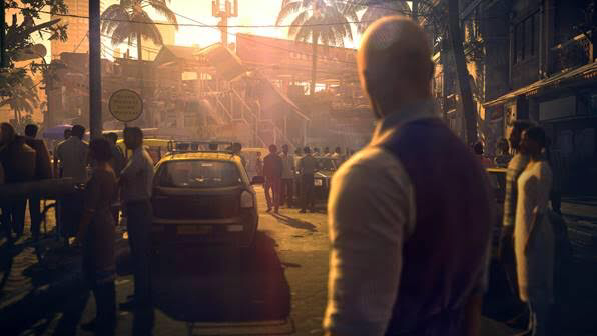 Earlier this week, IO Interactive revealed all the locations for HITMAN 2 including a Mumbai level. The video below showcases all the revealed locations confirmed for the base game. HITMAN 2 is the follow up to the excellent HITMAN that was published by Square Enix. HITMAN 2 is being published by Warner Brothers Interactive Entertainment. 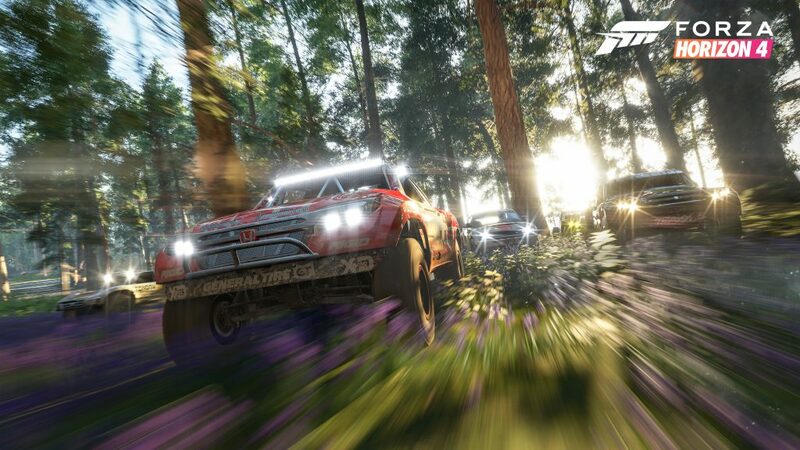 It releases next month for PS4, Xbox One, and PC. The Mumbai level will feature Bollywood movie locations and slums in addition to loads of secrets. HITMAN 2 for PS4 and Xbox One is priced at Rs. 3499. 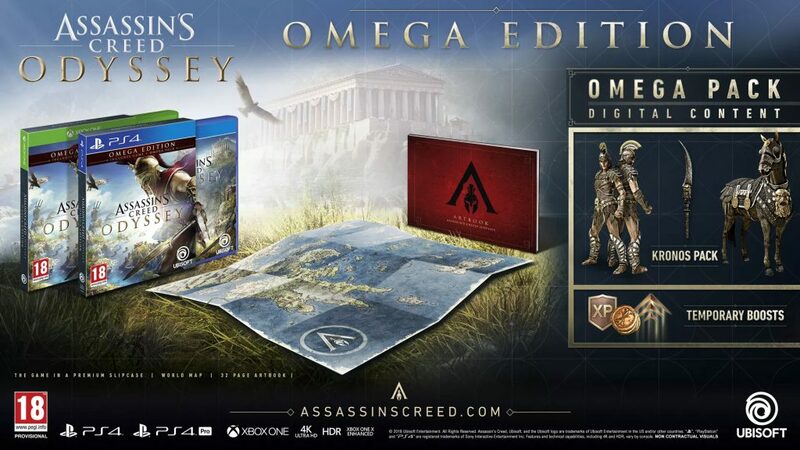 The GOLD Edition which includes a SteelBook, 2 expansions, exclusive items, HITMAN Sniper Assassin (available immediately), and early access. 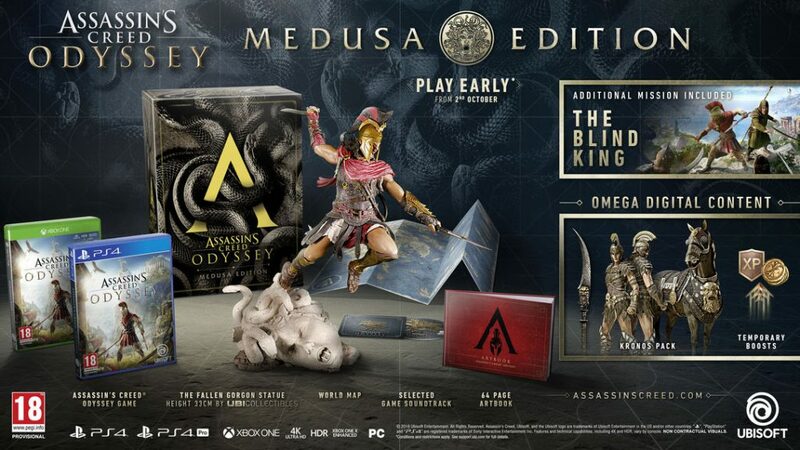 It is unclear if the India release of the Gold Edition will be available earlier like other countries. The GOLD Edition is only releasing on PS4 at retail for Rs. 6999. It will be available digitally on all platforms. Diablo III: Eternal Collection is releasing in India for Nintendo Switch on November 2nd. The Eternal Collection did not release here on PS4 or Xbox One. The Switch version that is available for $59.99 in North America will cost Rs. 3999 in India. It is currently available for preorder with a release scheduled for November 2nd. When Spike Chunsoft announced Fire Pro was returning on Steam Early Access, it was the first time I had heard of the franchise. It is pretty crazy that I’ve played almost every wrestling game since the PS1 era and never been exposed to Fire Pro Wrestling in any form. Fast forward to today, it has been over a month since Fire Pro Wrestling World has released on PS4 and I’ve been playing and enjoying it daily. 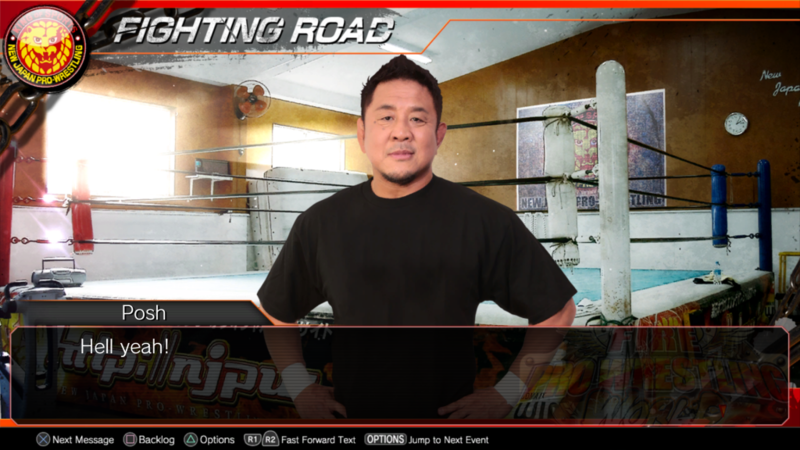 Having never played the franchise before, it is mindblowing how well certain things play out here and how deep the customization is in Spike Chunsoft’s new Fire Pro game. While WWE 2K19 is a welcome step in the right direction and is a great game if you’re a WWE fan, wrestling fans have been wanting more from a game for ages. In fact, the WWE games have had no real competition until now. While Fire Pro will likely not even make a dent in the sales for WWE 2K19, I’m glad there finally is a wrestling game catering to old school fans and fans of wrestling games who want gameplay that has a lot of depth as opposed to just a huge roster and improved visuals. At first, Fire Pro will take you a while to get used to. The interface in matches is minimal. Everything is about timing. Grappling is a very important part of the gameplay here. While it may initially seem barebones, there’s a lot going on. The flow of a wrestling match feels like it does when you’re watching a good one on TV. The moveset available to you changes over time. You can’t just hit a finisher right from the start like you could in some older WWE games. Thankfully there’s a great tutorial in Mission Mode that gets your into the action quickly. Out of all the wrestling games I’ve played ECW Anarchy Rulz was my favourite for customisation options. That title now belongs to Fire Pro Wrestling World. The options are nearly endless and if you aren’t a fan of spending time to make the characters you want to play as, there’s a simple solution available at firepro-w.com. This website lets you link your PSN account and then search the plethora of creations available online that have been done by other players worldwide. You can subscribe to creations and then they get downloaded when you boot up the game next. I had no trouble finding very well done versions (even with taunts in some cases) of the likes of Stone Cold, Asuka, The Rock, and more. Outside of customising and creating wrestlers, you can even do referees, teams, rings, belts, and more. It is very well done. Visuals are not the strongest part of Fire Pro. The menus are clunky in some areas and the visuals are not what you’d call current generation by any means. Thankfully, the art style works well during matches and performance has been great on PS4 Pro. It is hard to talk about Fire Pro without mentioning older wrestling games and I mean that in the best way. Even the visuals remind me of older games but with a modern feel. One aspect that feels like a breath of fresh air is the AI here. With how well thought out the match flow is, even watching the CPU fight against CPU is great. Fire Pro isn’t perfect. While I cannot fault the core gameplay at all, the initial roster is lacking. Sure, the create and edit modes can rectify this to some extent, but the initial roster is pretty lacking compared to earlier games in the franchise. For what is basically a game that introduces a new generation (and a much larger audience) to Fire Pro, Spike Chunsoft should’ve had a better showing here. The other area that needs work is the music. There are too few tracks and while I’m not expecting a big name licensed soundtrack like the WWE 2K games, Spike Chunsoft needs to add in more original tracks. Overall, Fire Pro Wrestling World is definitely the best wrestling game on current generation systems and one of the best wrestling games since the PS2 era. If you’re a fan of wrestling, you owe it to yourself to play this. The customisation options are endless and there’s a ton of fun to have here. The presentation lacks the bells and whistles seen in the WWE 2K games but this is as close as you will get to the golden era of wrestling games. 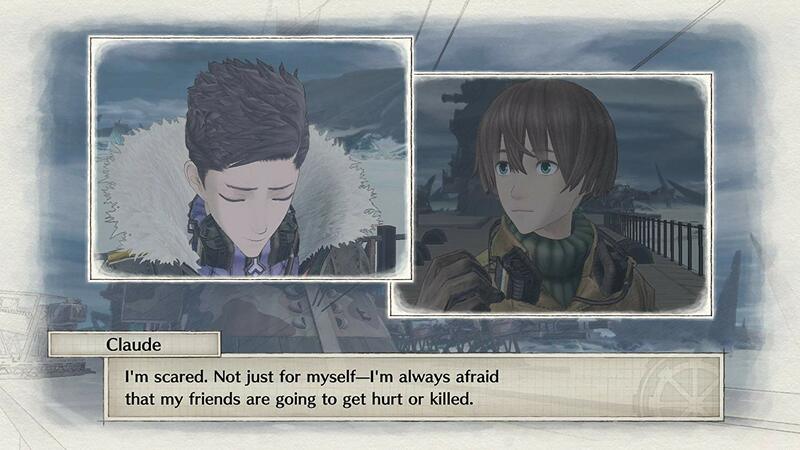 My biggest regret is not getting into the series sooner. 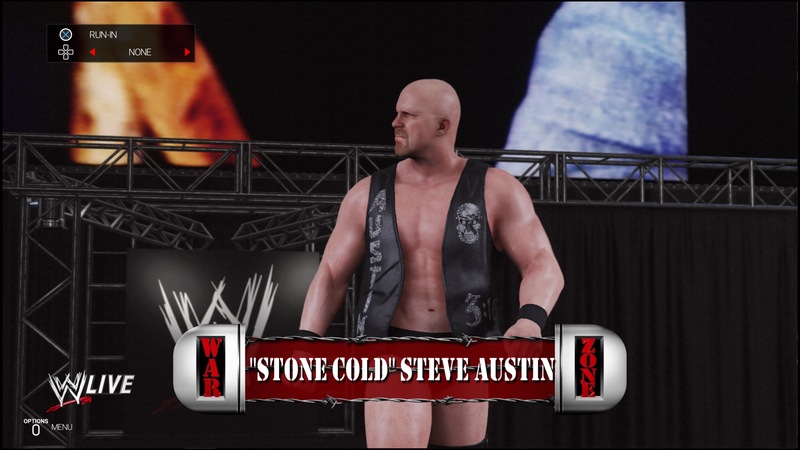 Each year, 2K has a new WWE 2K entry and after playing every wrestling game in the last few years including the fantastic Fire Pro Wrestling World, I’ve been a bit skeptical of the newest WWE 2K entry for a variety of reasons. While last year’s 2K18 served as a nice base with a visual upgrade, it was lacking in modes and had a few other issues. 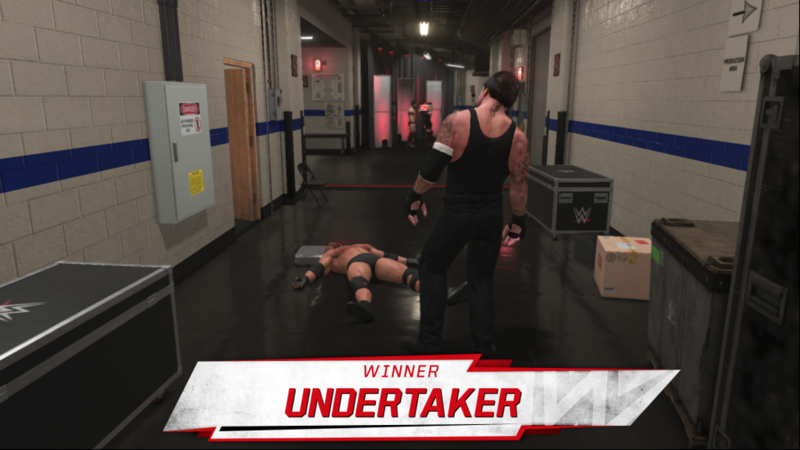 After playing an earlier build for 2K19 at a preview event, things were looking a lot better for this year’s WWE game but I was still unsure how the final game would fare. Thankfully Visual Concepts, Yuke’s, and 2K have delivered a great wrestling game here. It is superb to see a WWE 2K game that has actually improved in so many aspects while adding new modes and mechanics that make for a better experience overall. 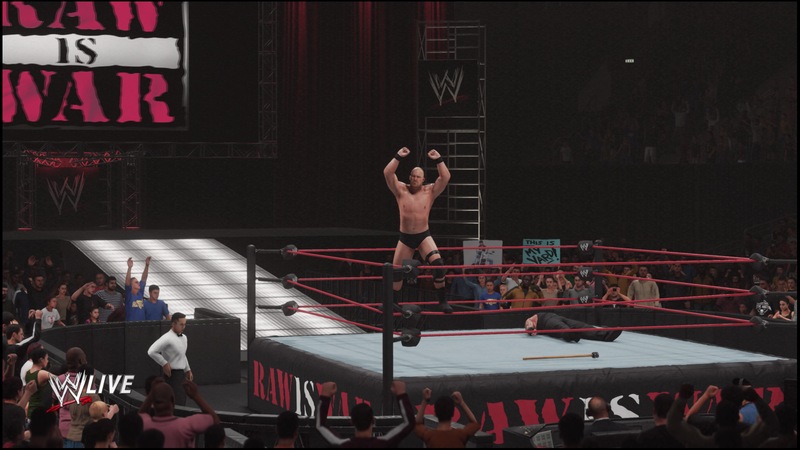 WWE 2K18 was the first WWE 2K game this generation that dropped support for previous consoles to be fully current generation. It did get a release on the Switch but that was a terrible release overall. 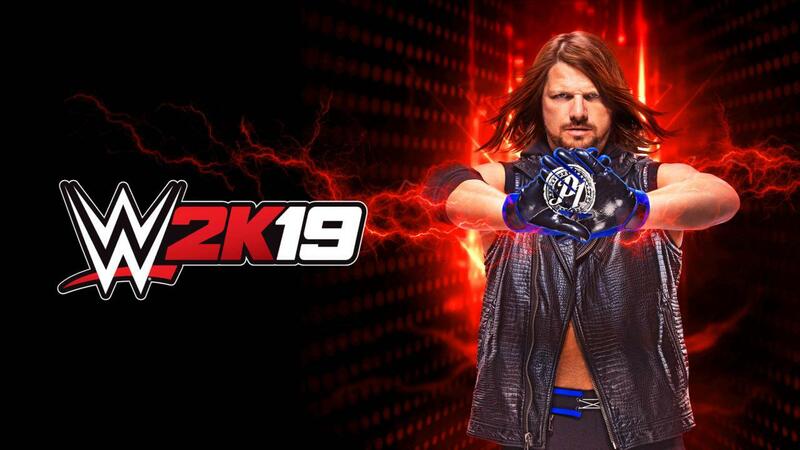 This year, there is no Switch version but WWE 2K19 is a more polished and basically more fun wrestling game across the board while still retaining everything the team has slowly been introducing over past entries. In a lot of ways, this finally feels like Yuke’s and Visual Concepts first true current generation wrestling game. It runs great, looks great (for the most part), and is an absolute joy to play with new modes, some old modes making a return, and others seeing enhancements. Gameplay is more responsive now. The game runs beautifully in almost every game mode. 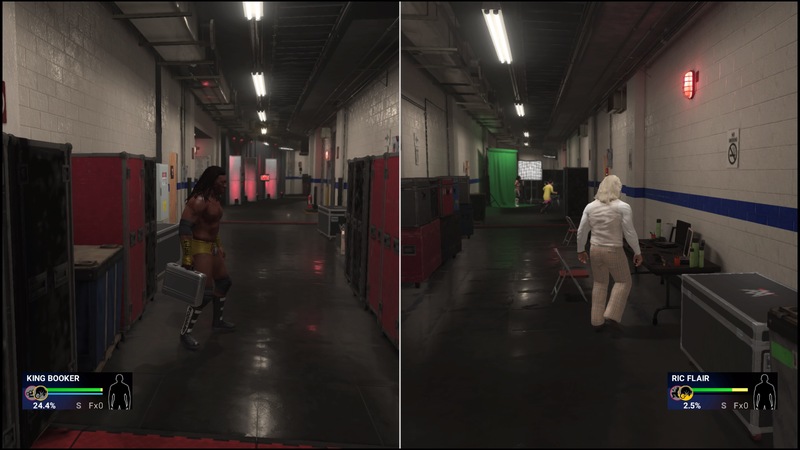 The only situation where the frame rate takes a hit is backstage brawl when both superstars move far away to trigger the splitscreen. Instead of focussing on the simulation aspect, 2K has definitely added a nice serving of the arcade feel that made so many people fans of the games in the first place. Reversing is still something you will need to get used to but it never feels unfair. Each strike feels like it makes a difference. When it comes to improvements to the various match types, Hell in a Cell is actually worth playing once again. You can even break the top and drop opponents back into the ring. The Steel Cage match feels like it was rebuilt from the ground up. 5 Man matches are a new addition and some other tag modes make a return after years. The number of game modes for offline play is pretty insane. 2K Showcase mode makes a return here. 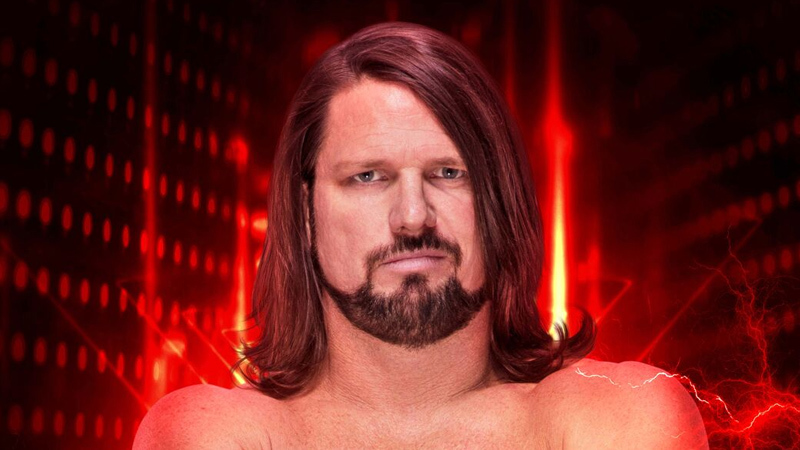 I was a bit skeptical of this because I was hoping Showcase would focus on someone I was a big fan of but it made me a Daniel Bryan fan by the end of it. The staples like the match objectives are in and I love the Daniel Bryan video clips where he explains how his career progressed with each of the key matches featured here. When I spoke to Mark Little, he mentioned how much the team had worked on making MyCareer mode feel more immersive with voice acting and a great story mode. The end result is actually really good. You start out in the independent scene here and then work your way up. The voice acting addition is great but there are a few instances where the delivery feels pretty phoned in. I look forward to how next year’s release pushes things even further. The new Tower mode that feels influenced by Mortal Kombat is a great addition. In addition to the ones available from the get go, there are new challenge ones that are added over time. 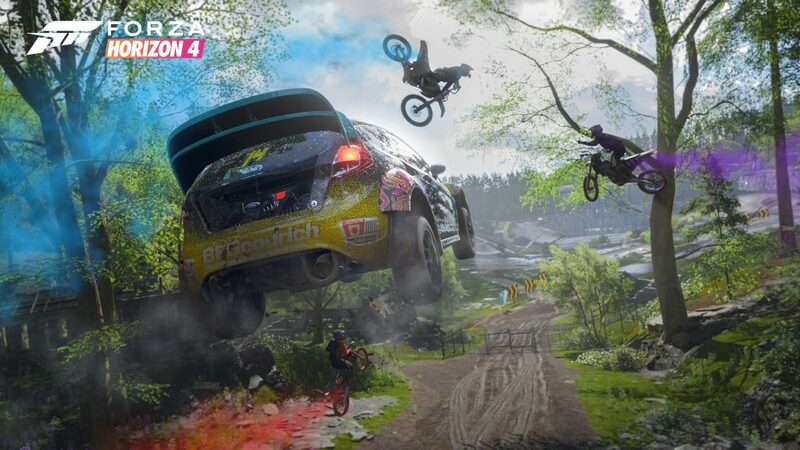 The big new gameplay mechanic is the Payback system. This gives you a sort of last resort option when your opponent has the upper hand. You have 2 abilities that let you do various things like hit a low blow. This is another addition that shows how 2K has finally been able to listen to fans to make this a better release overall. WWE 2K19 feels like a polished release when it comes to visuals for the most part. There are a few areas where clipping occurs and the odd low resolution texture here and there but the visuals are definitely improved here. A lot of the wrestlers look fantastic. The issue of some superstars looking better than others sadly seems like it will never go away. Performance is great on the PS4 Pro. I had no frame drops in even an 8 man match which is great. On the audio side of things, the commentary is a bit better but instead of sounding too vague, I ran into issues where it was delayed. In an 8 man tag match it felt like the commentary was about 20 seconds behind at one point. It feels like the commentary is improving at a snail’s pace. I wonder if we will ever reach the stage where it is comparable to the fantastic commentary 2K has for the NBA 2K games. Other than that, the inclusion of Spit Out the Bone is great and it is the only song I left in the jukebox playlist alongside some superstar music. The biggest flaw in WWE 2K19 is how painfully bad the online has been for me since launch. 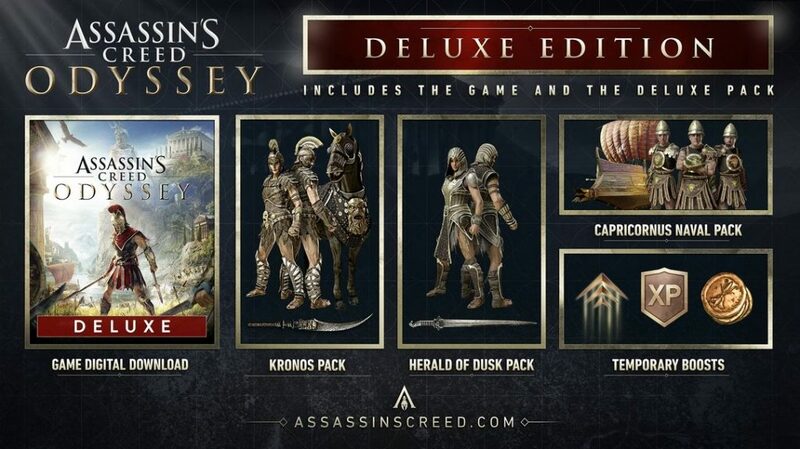 When I tried online games the day the Deluxe Edition released, it was a laggy mess. I thought things would improve when the game released to more people on PS4 but the situation is still pretty bad. I would skip this release if you are only going to play online. 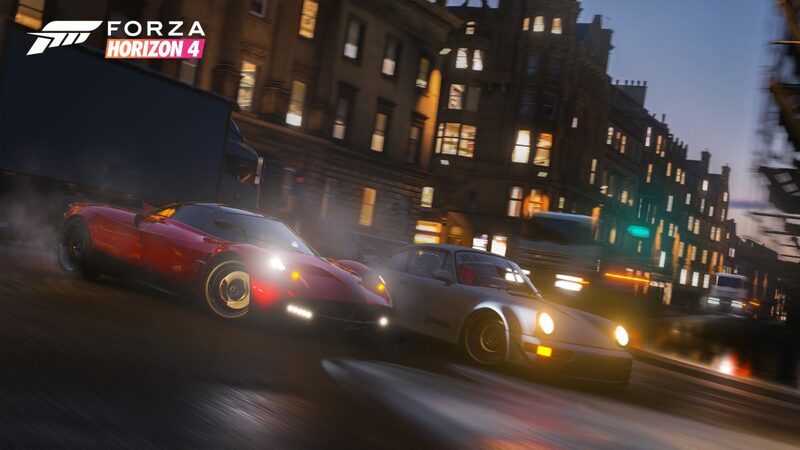 The offline modes are fantastic but the online needs a lot of work. There are a few visual issues with hair clipping and the ropes clipping a few times. Hopefully next year’s release can see 60fps backstage brawls as well because the framerate drop when the screen splits is jarring. 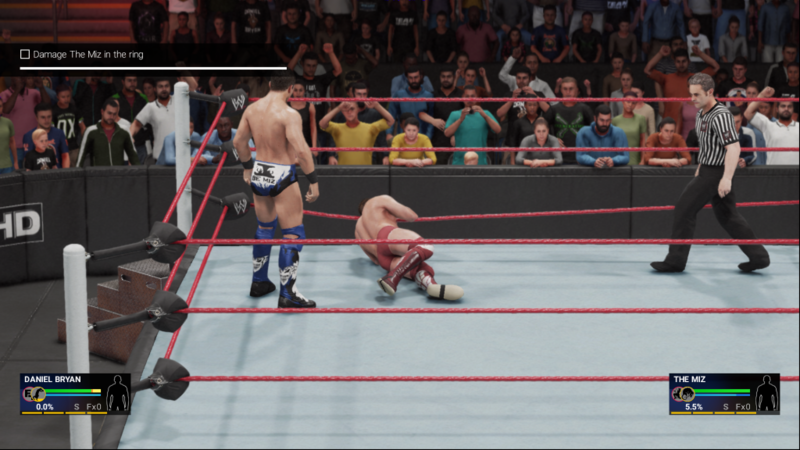 Overall, WWE 2K19 does a lot to rectify issues from past games. 2K19 brings back old fan favourite modes and has a few noteworthy additions like the Towers mode. The updated animations and game performance bump are welcome enhancements this year. 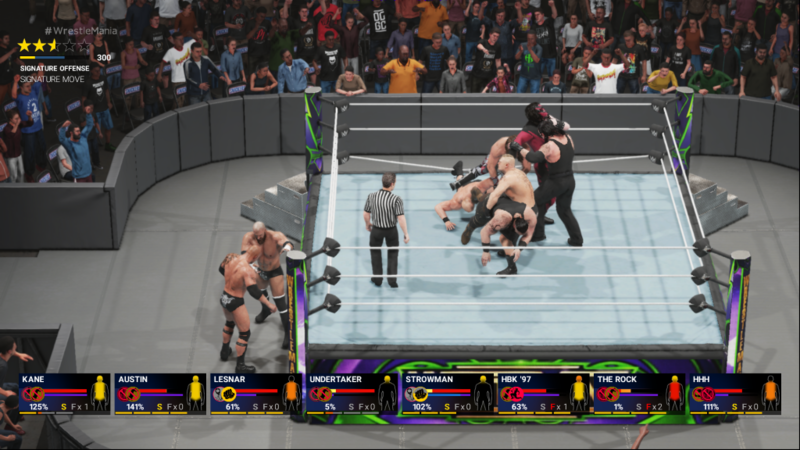 While the online mode has been plain bad and there are a few visual issues, WWE 2K19 is the best wrestling game in years. It is one I can safely recommend to old time fans and newcomers to the WWE which is something that hasn’t been possible for a long time. While most people’s first experience with Blizzard was through Diablo or World of Warcraft, mine was through Hearthstone. Blizzard and Hearthstone have come a long way since its debut in 2014 and things have mostly changed for the better across multiple expansions each year and loads of quality of life improvements. Hearthstone expansions used to be either card based or adventure based but things changed with the Journey to Un’Goro release that saw Blizzard only do card based expansions while still doing some single player content. 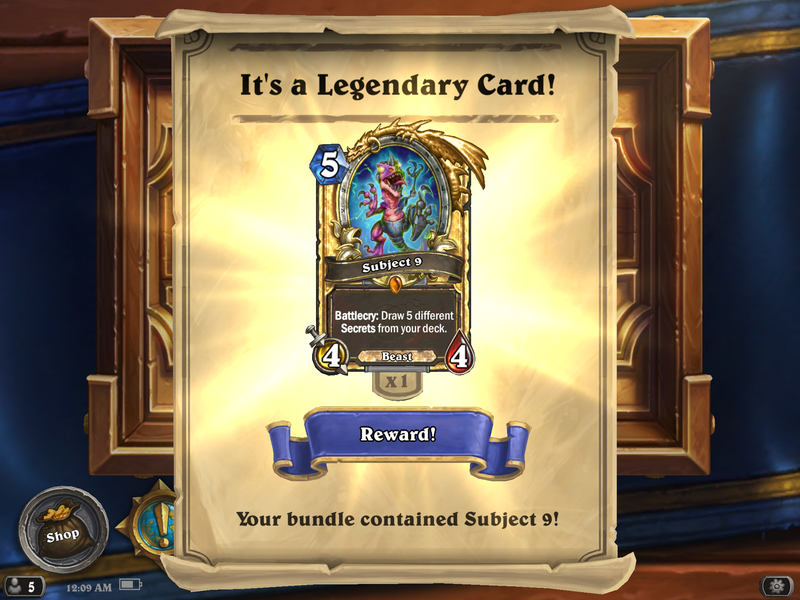 The Boomsday Project arrived in two parts beginning early last month with the cards and at the end of the month with The Puzzle Lab. This expansion’s new cards come under a few new mechanics or flavour text. The Magnetic mechanic is by far the weakest of the new ones and it lets you use magnetic minions to fuse with other mechs to create super powerful ones. This mechanic feels a bit tacked on and doesn’t really suit the game’s other well thought out ones. The Omega cards on the other hand are nice because while they have below average stats normally, playing them when you have 10 mana will grant you a lovely bonus. The most interesting mechanic of the expansion is Projects. These cards let you and your opponent gain a bonus in some form. The biggest task for developers of collectible card games isn’t pumping out new content for old players but to allow the game evolve and be welcoming to new players. Hearthstone has slowly been improving by retiring certain cards and expansions from Standard play. When Hearthstone originally launched, there was no Standard or Wild. That was already a step in the right direction but Blizzard make things better by putting some cards into the Hall of Fame from the original Classic Set. It has been a month since the expansion launched and little over a week since The Puzzle Lab launched and for the first time in a few expansions, the meta online is actually interesting. Even similar decks have some interesting new additions from The Boomsday Project and things still feel fresh after more than 4 years of Hearthstone. 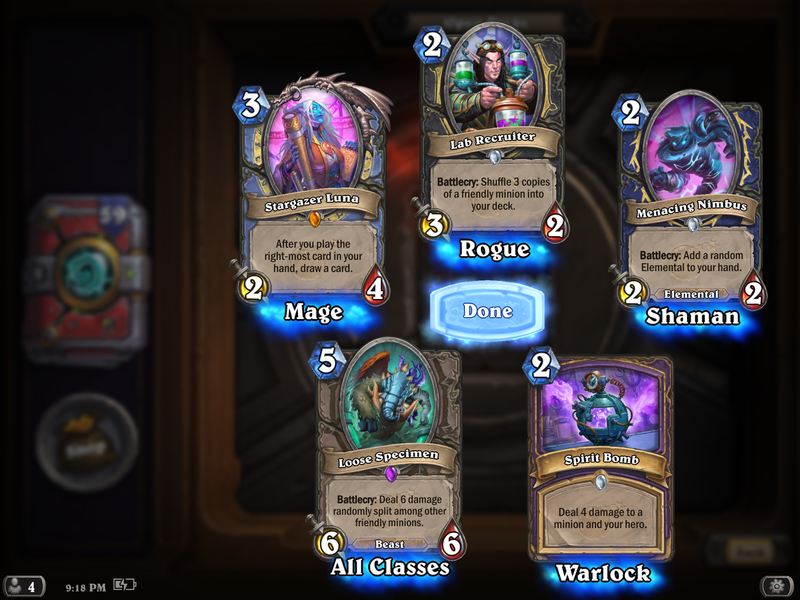 Just like Dungeon Run, The Puzzle Lab is a solo experience but is probably one of the best things Blizzard has done for new and returning players in Hearthstone in a long time. Unlike other quests or solo content that requires you to defeat enemies, The Puzzle Lab is full of various levels of increasing difficulties split up into multiple categories. The Mirror challenge set has you using a few cards in your turn to create a board state that has both sides perfect mirrors of each other. The Board Clear one gives you a set of cards to allow you to clear the board through any means necessary. The Survival set has you trying to restore your health to survive a near lethal attack while the Lethal set has you trying to take down your opponent in a single turn with the cards available to you. 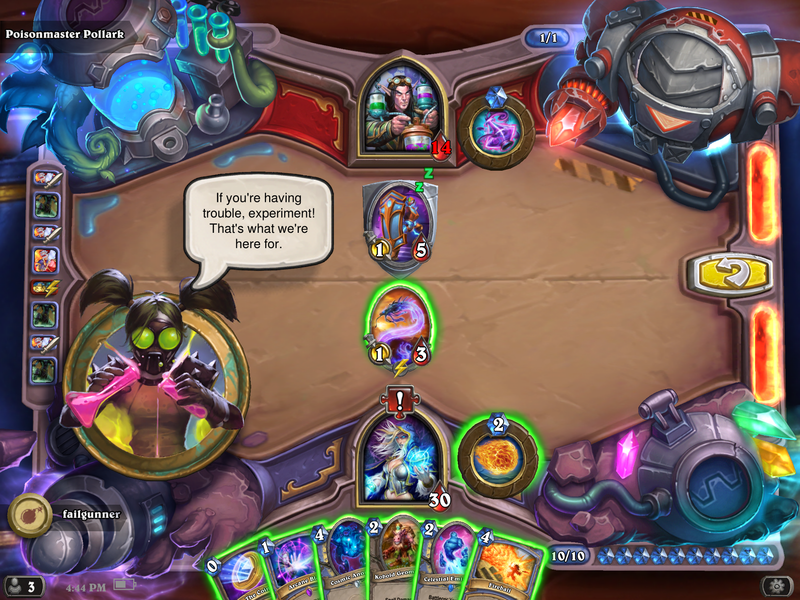 While the only downside here is the lack of replay value, these puzzles are brilliantly designed and longtime Hearthstone players will find tons of enjoyment here. Over the last few months, Blizzard has also improved the mobile client quite a bit. It now has iPhone X support and can even download data in the background when patches are pushed live. I’m pretty surprised that Blizzard still hasn’t supported split view on newer iPads considering how popular the combination of playing Hearthstone while watching something is on PC. In a perfect world, you would be able to watch YouTube or Twitch in split view while playing Hearthstone but Blizzard doesn’t seem to have any intention of adding this. Overall, this expansion is great for longtime players and newcomers. While the new card sets still have the issue of requiring a big time and money commitment from players to find a viable deck for ranked mode, The Puzzle Lab which is free for everyone makes up for a lot of shortcomings. Blizzard has also been giving away free packs for logging in during certain weeks which is always good for newer players. If you’ve been playing Hearthstone on and off for a while, this is the expansion to come back to the game for. Newcomers might find things still a bit too daunting but sticking with the game for a few months will be worth it just for the single player content available now and the occasional Arena run. 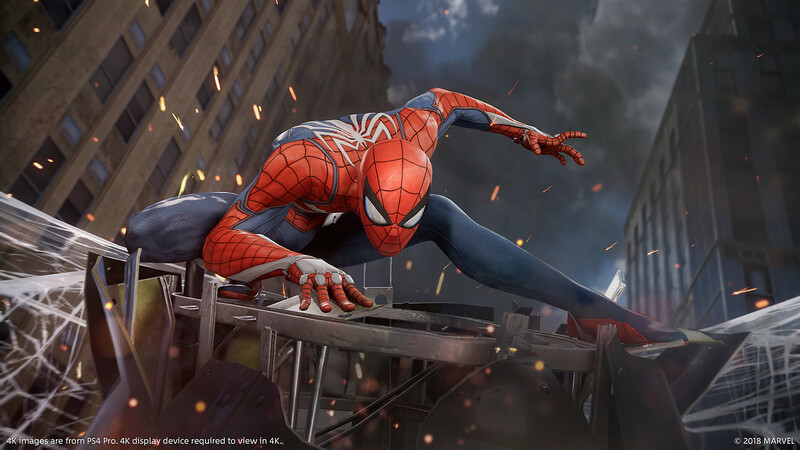 Ever since it was first revealed back at E3 2016, Marvel’s Spider-Man has consistently had great showings across different events for little over two years at this point. 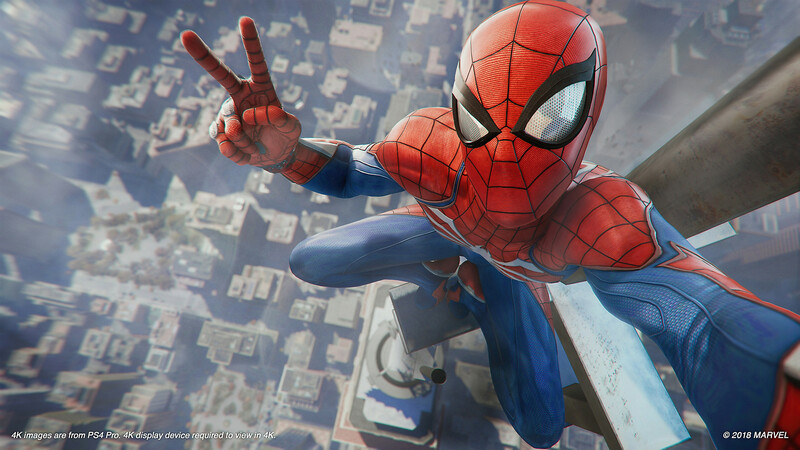 Fans have had to wait through multiple trailers but with Insomniac Games at the helm, expectations are pretty high. Insomniac’s Ratchet and Clank PS4 game is a fantastic game and tech showcase for the console but Spider-Man is a whole other beast (or arachnid) in terms of its scope. Thankfully, outside of one annoyance, Marvel’s Spider-Man is brilliant. 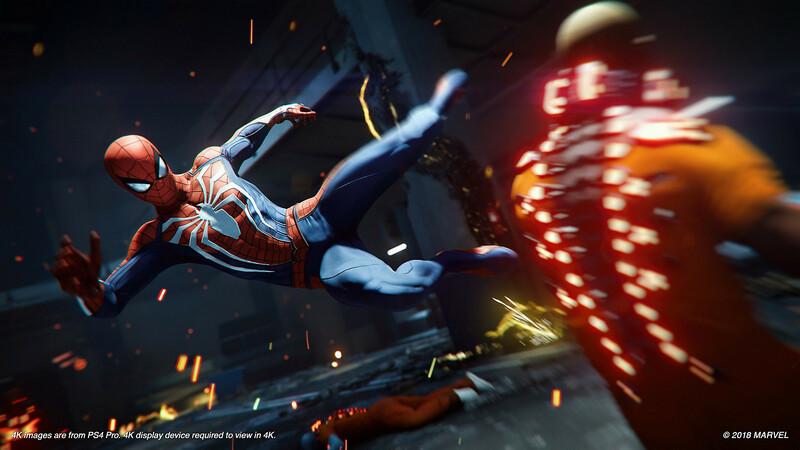 Unlike most reboot or new superhero games, Marvel’s Spider-Man isn’t an origin story or anything. Spider-Man (and Peter Parker) is struggling with adulthood. He has his own things going on with his day job, managing time across various people in his life in addition to fighting crime. This is a sharp contrast to the Arkham games, as it feels more grounded. 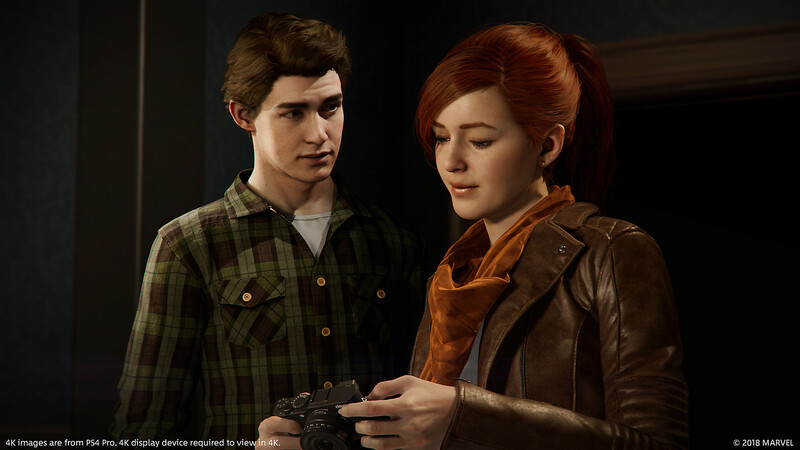 You get a window into the human side of Peter through the opening moments of the game and his interactions with Mary Jane and Aunt May. When it comes to the story here, there’s a lot to love with tons of surprises and some great cameos. Having J Jonah Jameson peppering in his thoughts and commentary on various situations through the radio that you hear as Spider-Man is an excellent touch. Things start out with you going straight into the action and while you can put the main story on hold for the plethora of side activities available, it never holds back. Without getting into any spoilers, the way the various villains shown off come together and how their motives are revealed is excellent and there are loads of surprises. While the opening story moments are action packed, I found myself spending far too much time (in a good way) just exploring the city and slinging all over the place. The traversal is that damn good. You eventually unlock a fast travel option but I never used that until nearing the end of the game because the movement feels superb. You can zip all over the place with your web and boost a few times before losing momentum. There’s always the option to wall-run across the massive skyscrapers in the city. You can even unlock an ability to do tricks to earn a bit of experience. If you’re up to it, you can go all over and unlock the full map. While you can explore as you please, you unlock the map in a similar way to any other recent open world game through towers. Unlocking one of these reveals the area’s map and lets you see the various collectibles and side activities available. 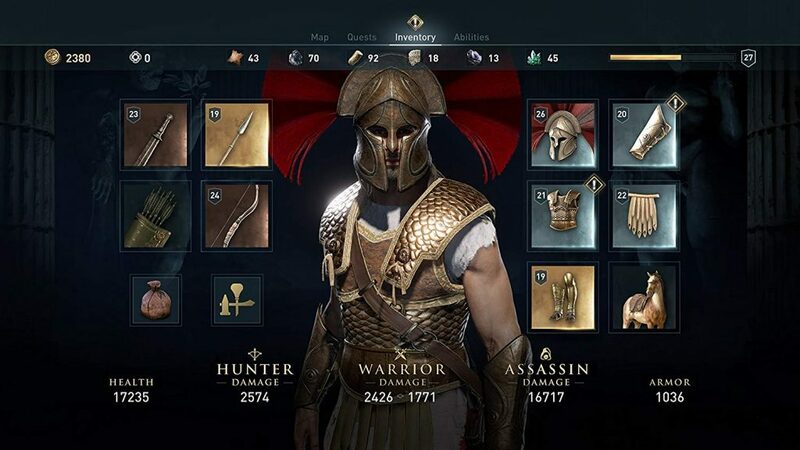 I was a bit concerned about how it would overwhelm with icons but as soon as you unlock a few of the different activities or collectibles, you get an option to tweak the map display as you please so it doesn’t feel like one of those open world games where there are more icons than there were dollars invested in the making of said game. Each collectible helps you unlock more suits and various tools that help you out. Combat draws inspiration from recent Arkham games but the great thing about Spider-Man combat is how dynamic it is. You can take out a whole group of varied enemies by just pulling them up into the air one by one and throwing out combos or you can do the whole thing grounded by using the environment to your advantage. There’s a lot of combat here through the main story missions and even the various activities in the map but it never got boring. While you start out with a single suit, you slowly get the ability to unlock more and each suit is usually accompanied by a suit power. These range from being able to throw out an area of effect web attack on everyone near you, use the power of punk rock (not joking), and even gain invincibility for a limited time. The best part about Insomniac’s implementation of these suits is that you can use any power with any suit. 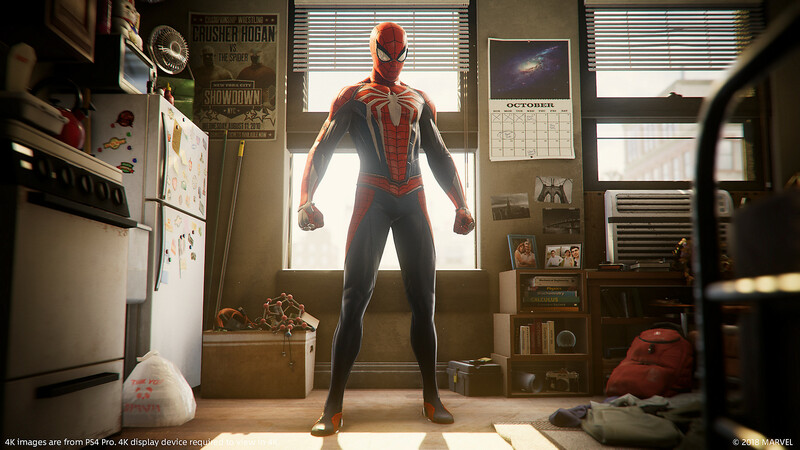 The actual suit visual is just a cosmetic that appears in every single story moment and cutscene in addition to gameplay. Spider-Man also has loads of gadgets in addition to his web shooter like a drone that helps you out in combat to more powerful impact webshots. As you finish story and side content, levelling up rewards you with a skill point and boost to damage and speed depending on the level. There are three skill trees for you to unlock skills with and this will allow for some interesting combinations when it comes to exploration and combat abilities. 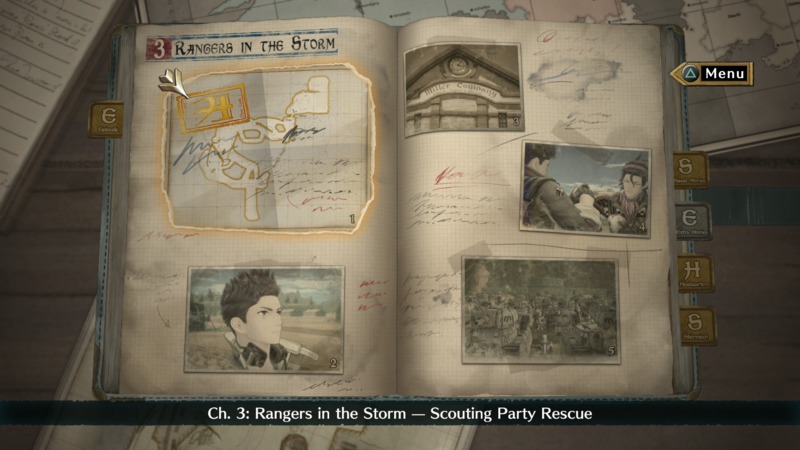 Outside the main story missions, the side quests are very nice and fleshed out. You even end up unlocking some suits and a lot of experience through side quests and activities. Peter has backpacks scattered all over the map and locating these nets you backpack tokens which you can use to unlock suits. 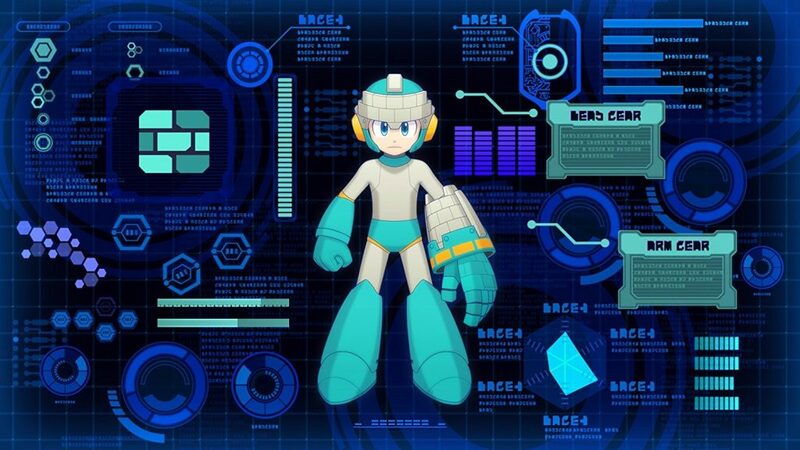 Each side activity has its own currency which can be used to unlock more suits and various skills for suits and gadgets. 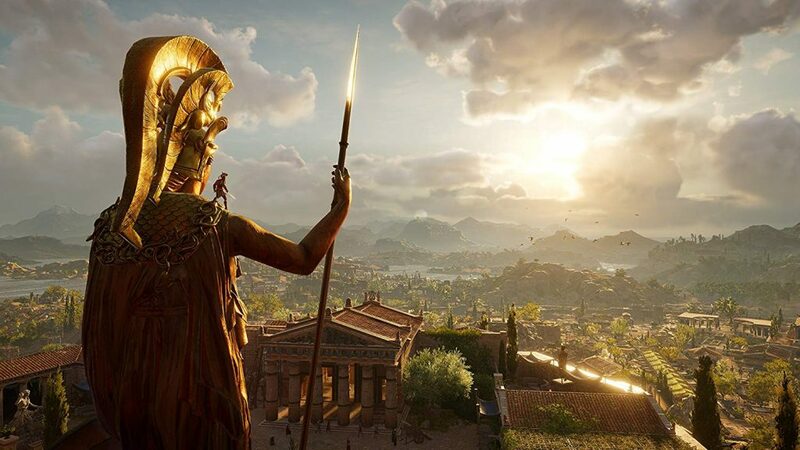 The one big concern I’ve had about the visuals here is not about resolution or performance but the draw distance and pop-in that might be concerning. Thankfully, I had no issues with either of those in my 30 plus hours spent here. Performance was almost flawless with minor slowdown in one particular scene towards the end. Everything else played and looked great. You will be giving the share button on your controller a workout here for sure. The suits are varied and very detailed. The city looks stunning across different weather conditions and times of the day as well. 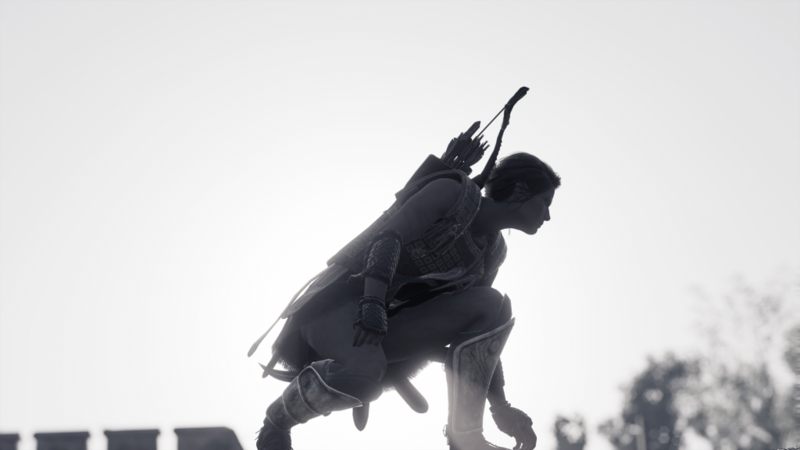 The big photo mode is coming in the day one update and that will be the perfect excuse for me to come back here. While there sadly is no Sum 41 music, the use of licensed music here is great. The non licensed aspect isn’t even some generic superhero nonsense but some great compositions across the board. The music that plays when you’re flying across buildings in particular is great. 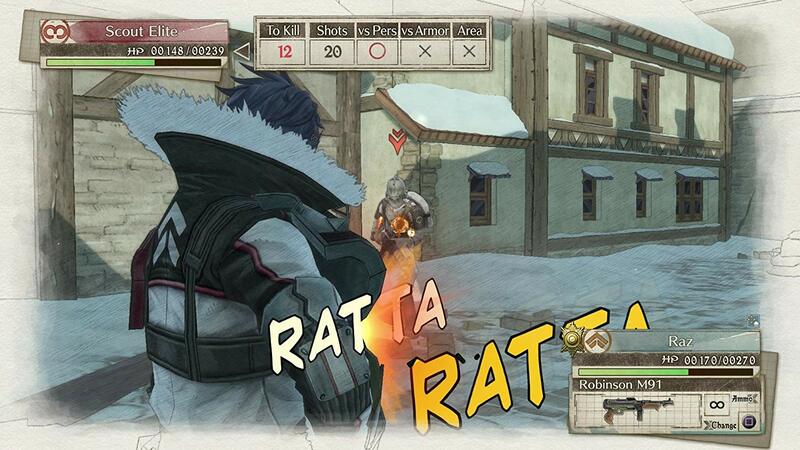 Overall, the audio is pretty damn great when it comes to sound effects for combat and voice acting. Bystanders and pedestrians across the city will often react to you when you’re nearby either praising you or doing things like asking you for an autograph. The big annoyance for me in my time is definitely the stealth aspect. There are a few stealth missions spread across the main story and while they are important to the actual plot, the stealth implementation is annoying. Instead of being punished for being spotted with a penalty somewhere, you straight up have to replay the segment after a checkpoint. They aren’t difficult but one of them is very vague and basically breaks the otherwise great pacing of the main story. It is almost as bad and out of place as the one stealth mission in The Legend of Zelda: Breath of the Wild. Overall, Marvel’s Spider-Man is yet another fantastic addition to the PS4 library. 2018 has been amazing for PS4 exclusives with God of War, Yakuza 6, Yakuza Kiwami 2, Shadow of the Colossus, and now Spider-Man. While it may not push the boundaries of open world games, Spider-Man gets almost everything right and is a damn fine game that every PS4 owner needs to experience. 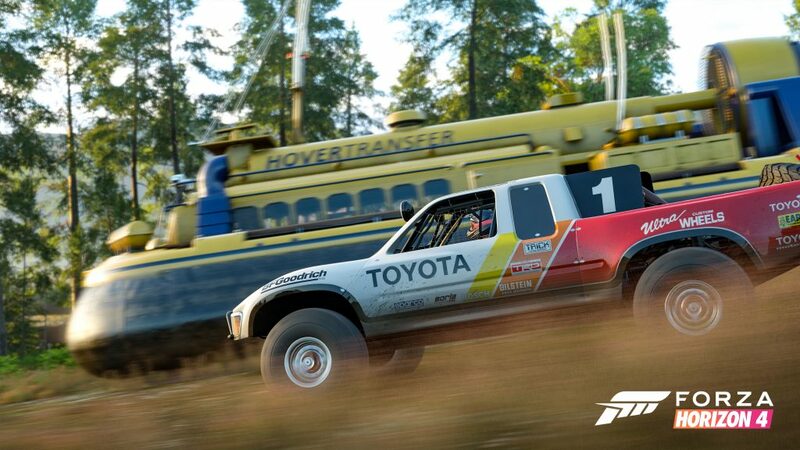 I can’t wait for the DLC. Sony finally brings PlayStation Store cards to India. PlayStation gamers have been wanting ways to buy games digitally without linking any card to PSN. 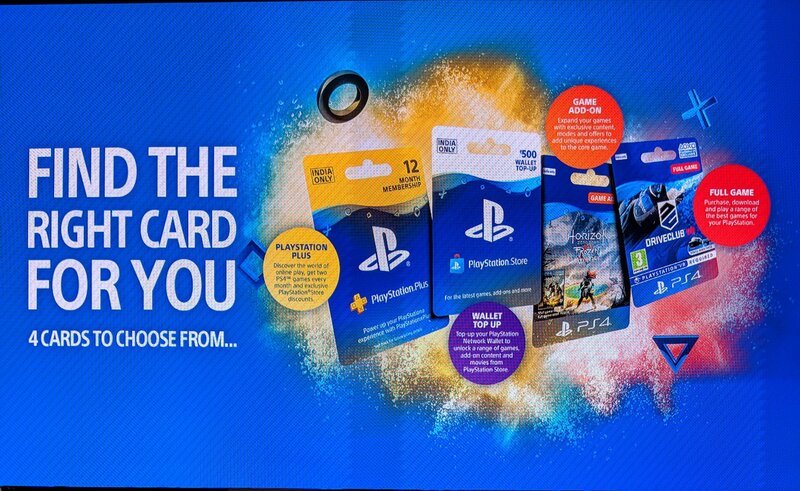 Right now, PSN cards are available at Games the Shop. The cards will be available for full game downloads like Marvel’s Spider-Man, DLC like Horizon Zero Dawn’s The Frozen Wilds, top up credit (Rs. 500 up to Rs. 4500) and PS+ subscriptions. 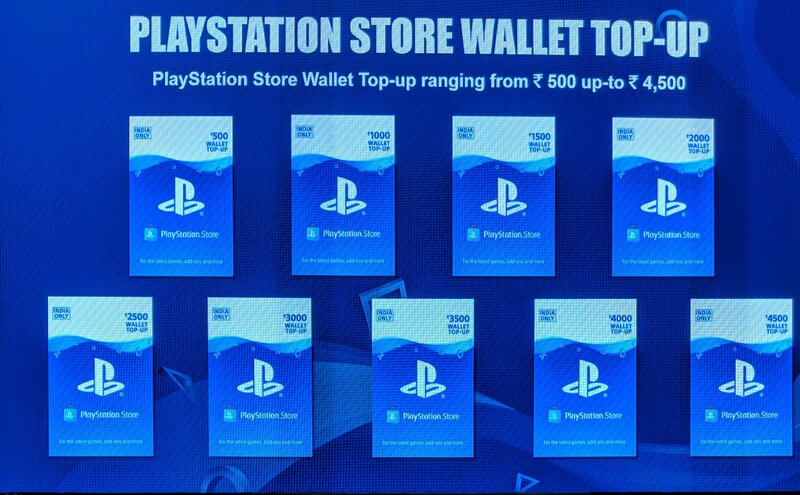 These are only for use on the India PSN store and can be used for buying games on PS4, PS3, and PS Vita. Gadgets360 reports that even the upcoming Marvel’s Spider-Man DLC and FIFA 19 FUT microtransactions will be made available. PS+ subscriptions were already available for 3 months at Rs. 1869 and 12 months at Rs. 4439 but consumers here can finally get DLC alongside games or even buy credit in stores to go all digital. 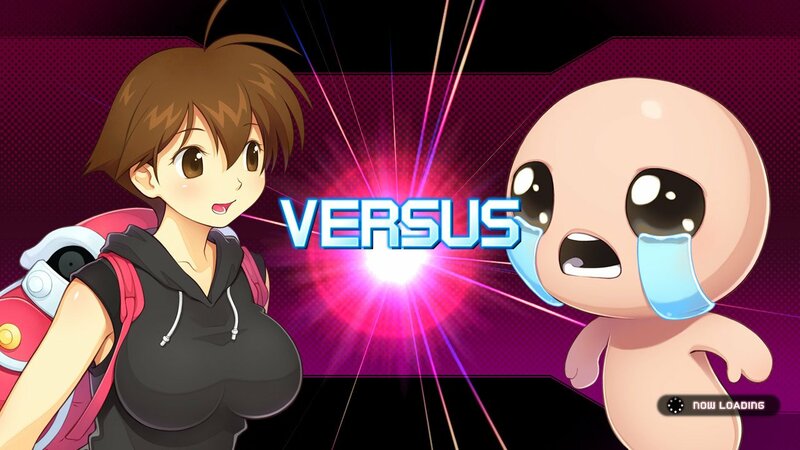 Ever since the Nintendo Switch hit the market, loads of smaller publishers have been finding a ton of success on the platform but the biggest supporter overall has easily been Nicalis through publishing other titles and physical releases. 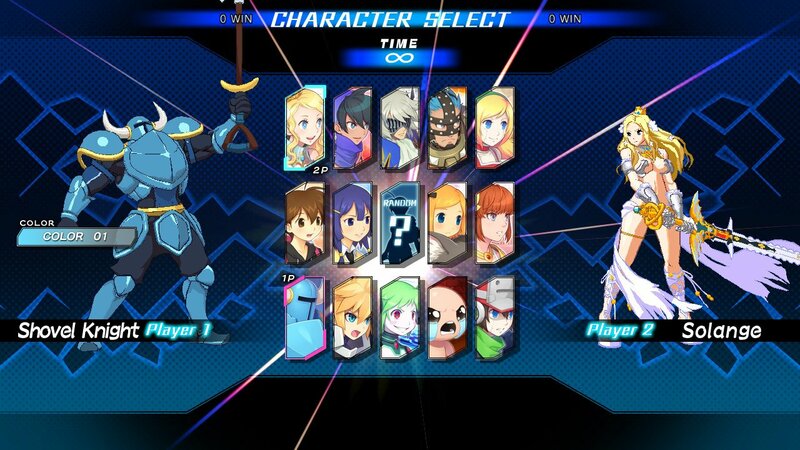 Nicalis has teamed up with Studio Saizensen to release a 2D crossover fighting game that is now available on PS4, Switch, and PC platforms in the form of Blade Strangers and I’ve been playing it for the last few weeks on both PS4 and Nintendo Switch. The fighting game genre is stronger than it has been in years with both big and small fighters finding success on multiple platforms. While the bigger ones like DRAGON BALL FighterZ and Street Fighter V: Arcade Edition will always be at the forefront of the competitive scene, smaller ones have been impressing many people with my current favourite fighter being Under Night In-Birth Exe:Late[st]. I loved BlazBlue: Cross Tag Battle and when Nicalis announced a crossover fighter with characters from Nicalis, Studio Saizensen, and other smaller games coming together, they had my attention. There are a few things that I look for in fighters outside of the usual modes and the most important one for brand new fighters is good tutorial and training modes. 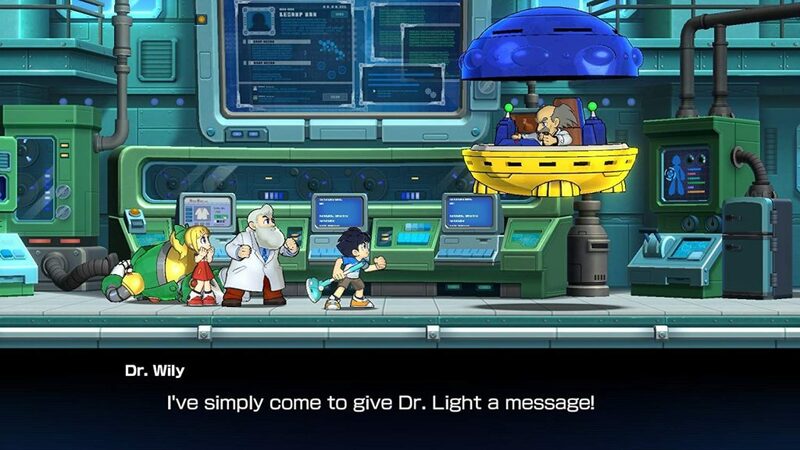 Thankfully Blade Strangers delivers in spades here. 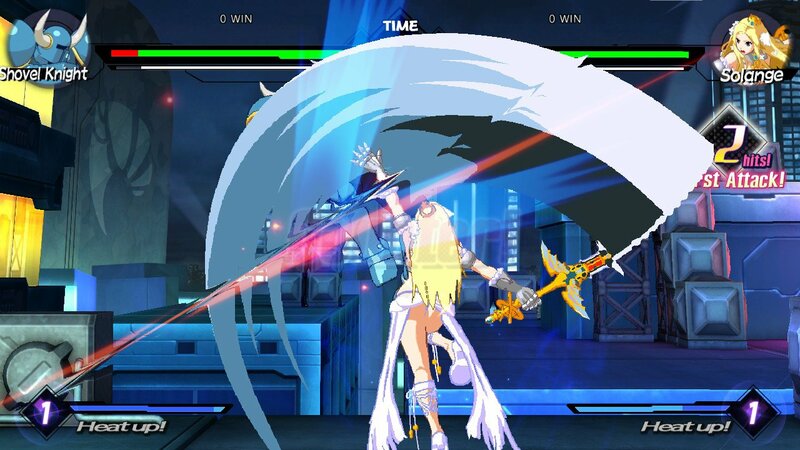 Blade Strangers is a very well designed and accessible fighting game that gets a lot of things right. It doesn’t push the envelope but manages to bring together various characters from franchises you never thought would ever interact in a meaningful manner. 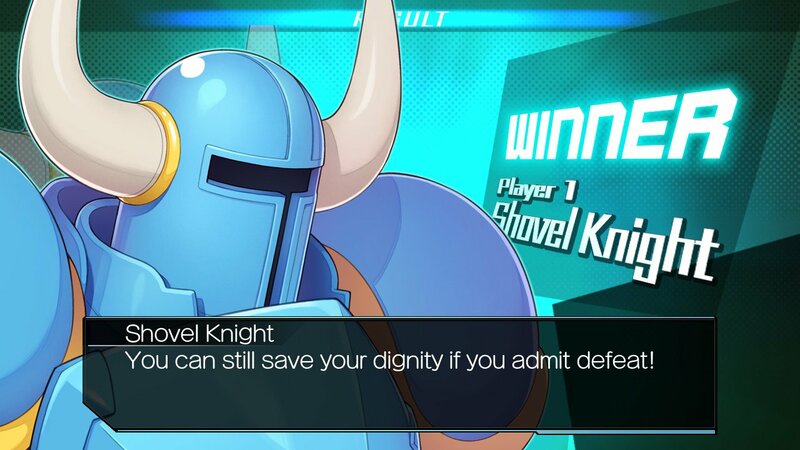 I never expected to see Shovel Knight introduce himself in Japanese before proceeding to get beaten up by Isaac in a game but here we are. Each character plays differently as well with specials that would feel right at home in the source games when it comes to animations and sounds. Unlike Tekken 7 or even Street Fighter V at launch, Blade Strangers is fully featured from the get go with loads of modes both offline and online. The Story mode is a bit weak with interactions between the various casts. There are differences when you replay it as different characters but I was hoping for something better. I would’ve preferred one single playthrough that covered all the characters. 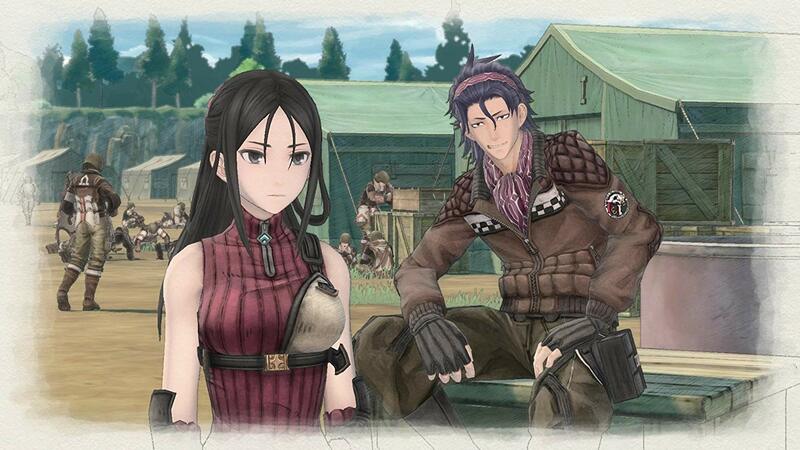 After two or three playthroughs, you will probably end up skipping dialogue to just complete each character’s story. 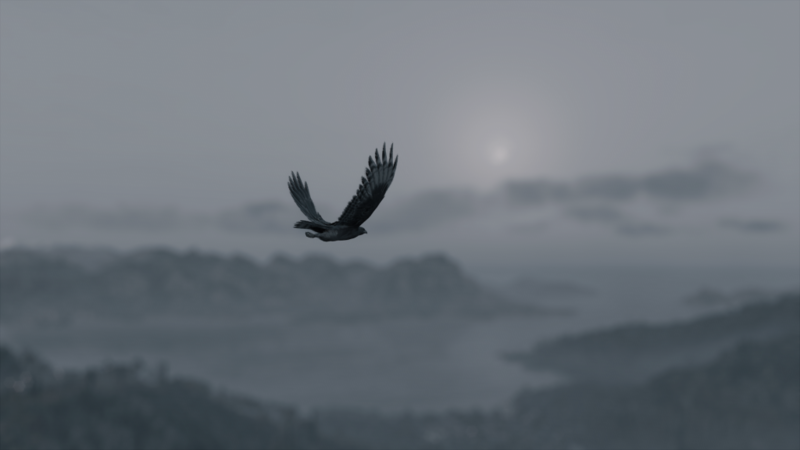 The Tutorial is excellent here and well worth your time. It always baffles me how the smaller tier developers manage to craft fantastic tutorials for fighting games while the bigger ones just assume you will spend time learning on your own. There is also a traditional Arcade mode and a survival mode. If you’re on the Switch, the control scheme is simple enough to support single Joy-Con play and you can setup a co-op game on a single Switch with no extra hardware needed. For Online, there’s a Stealth mode that lets you play online without any info being visible. The Casual mode lets you play without rank being affected but your information is visible to the opponent. There is a League mode that is basically ranked mode. I’ve managed finding online matches pretty quickly on Switch over the last few days as well which is always nice for a fighting game since so many of them end up with no one playing after a few days. 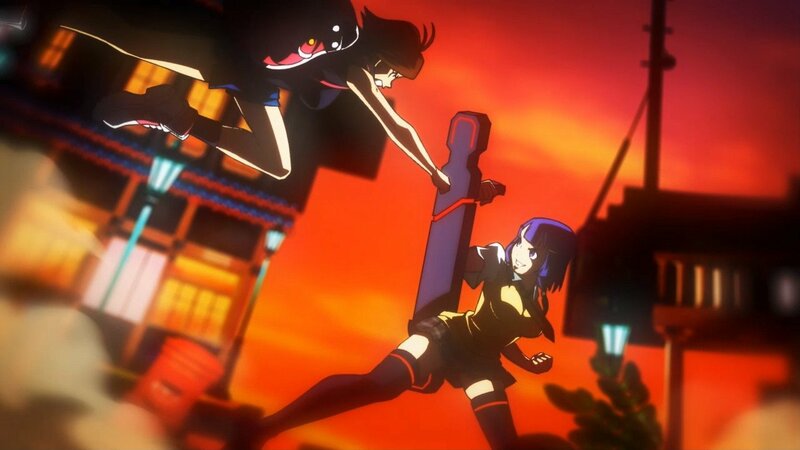 Crossover fighters are built around fanservice and Blade Strangers while being great on its own right as a fighter, has some lovely music from the various franchises included. If you’ve played the source games for characters here, you will find a lot to love. The Isaac music remix is especially nice. This carries over to stages as well. The biggest complaint I have is with the visuals. While a lot of the character sprites look nice, some look bad even on the smaller Switch screen. The stages are quite bland as well. Thankfully performance on both platforms has been good both online and offline. When developers use lower resolution sprites, a smoothening filter is often used to make things easier on your eyes like with Cross Tag Battle on PS4 but Blade Strangers doesn’t bother doing anything on either platform so the sprites can look fuzzy. Thankfully the animations are all slick and play out without a hitch on either platform. Character portraits and the story mode dialogue sections look great and it is always good to see some of these characters get new portraits for high resolution displays. If you’re conflicted on which version to get, I’d go with Switch since the visual difference isn’t much between both and the Switch version runs great even in handheld mode. Overall, Blade Strangers is a very good fighter that is accessible to newcomers to the genre and worth it for veterans. 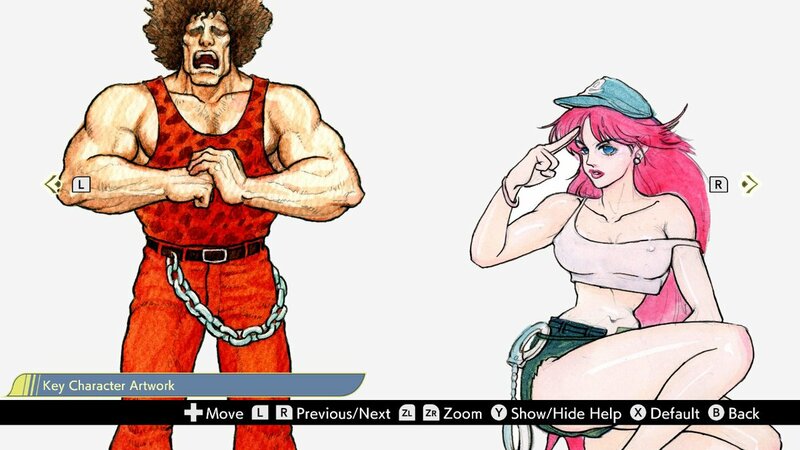 This is a great gateway game to the world of fighters if you’re a fan of the characters like Shovel Knight, Isaac, Solange, and more featured here but have never played a fighting game before. Hopefully Nicalis can put out a patch to address some of the visual issues in the future and supports this with DLC going forward because there are loads of characters they could add like Commander Video. 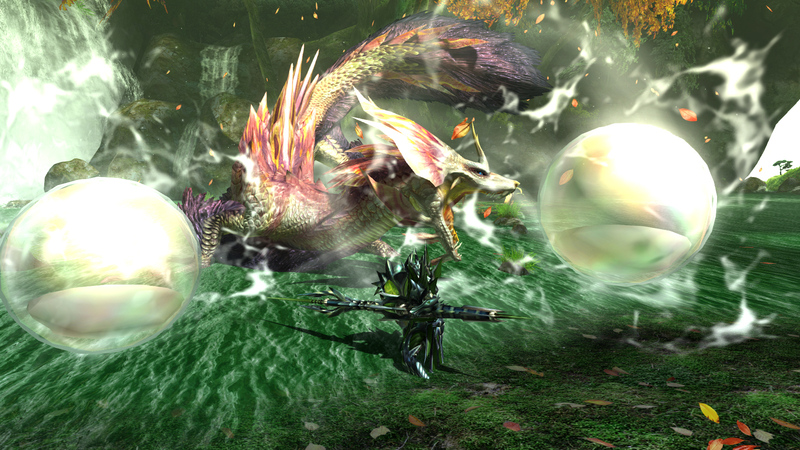 After enjoying lots of success on the 3DS with Monster Hunter 4 Ultimate and then Generations which were both designed from the ground up for the 3DS family of systems, Capcom pulled out all the stops for Monster Hunter: World to bring the franchise to the largest audience possible. This meant the franchise would finally hit home consoles and PC and it worked out well. World happens to be Capcom’s best selling game ever but Nintendo Switch owners have had to wait for an entry to show up in English. 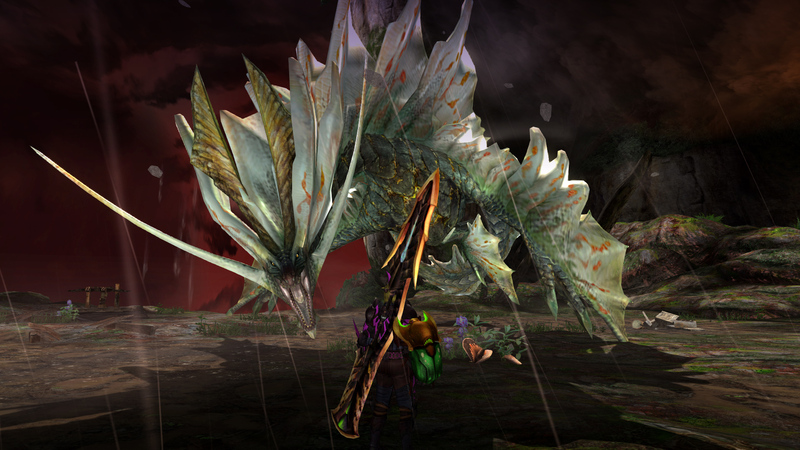 A year after the Japanese release, Monster Hunter Generations Ultimate is finally available exclusively on the Switch and while it is a fantastic game packed with tons of content, there are some things to keep in mind going into it if you got into the franchise through Monster Hunter: World. 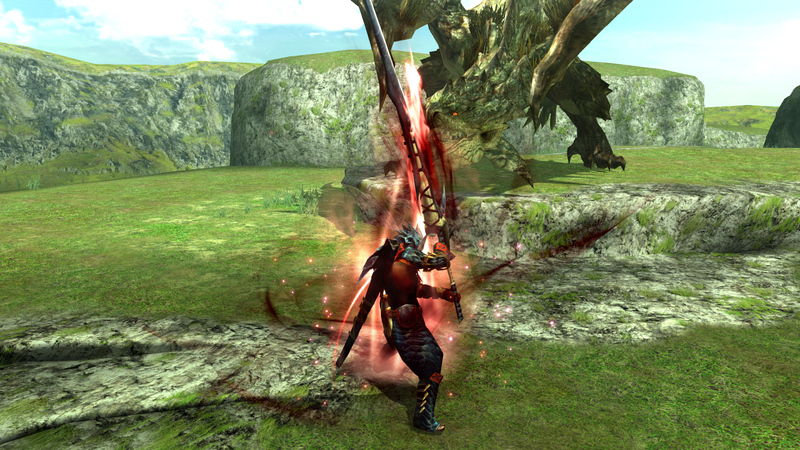 If you aren’t sure what this game is, Generations Ultimate is a Switch port of the enhanced version of Monster Hunter Generations which released only in Japan as Double Cross. That saw a Switch port last year in Japan and we finally have it in English as of today in the form of Monster Hunter Generations Ultimate. 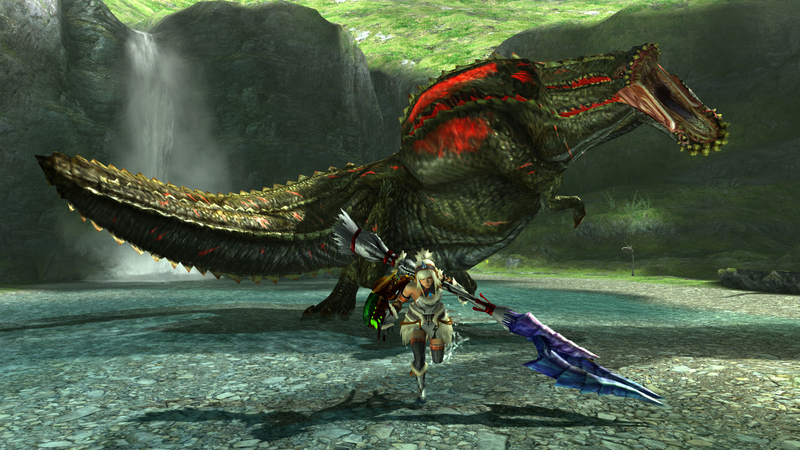 It is by far the most content packed and feature complete traditional Monster Hunter game ever. With the amount of free DLC coming and the content at launch, this maybe one of the most content packed releases ever. Monster Hunter Generations on the 3DS brought loads of new features to the traditional Monster Hunter experience like Hunting Styles and the mode that lets you play as a Palico but it still is an old school Monster Hunter experience. This carries into the user interface, the zone split for the map and various other areas. There’s a lot working against this game when you come into it from World but the area it excels in is the sheer volume of quality content. Comparing it to what you get in World, Generations Ultimate offers nearly three times as much content across the board. If you played the original Generations on 3DS, you can even import your save here. 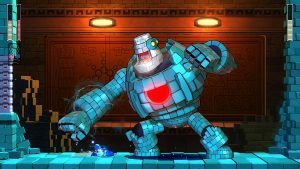 While you do get everything Generations had, the new G Rank content and other additions from Double Cross on 3DS make this well worth revisiting even for fans who put in hundreds of hours into Generations. The ergonomics of the Switch and the massive boost in image quality are worth the upgrade already and the added content is icing on the cake. 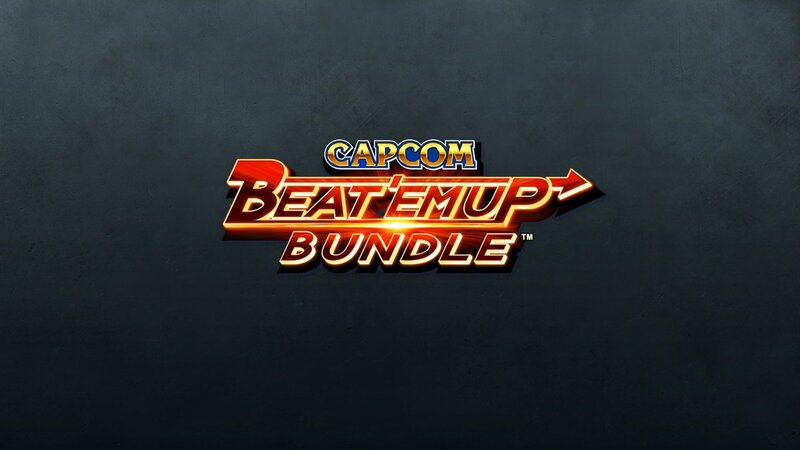 Capcom even made decent use of HD Rumble here. 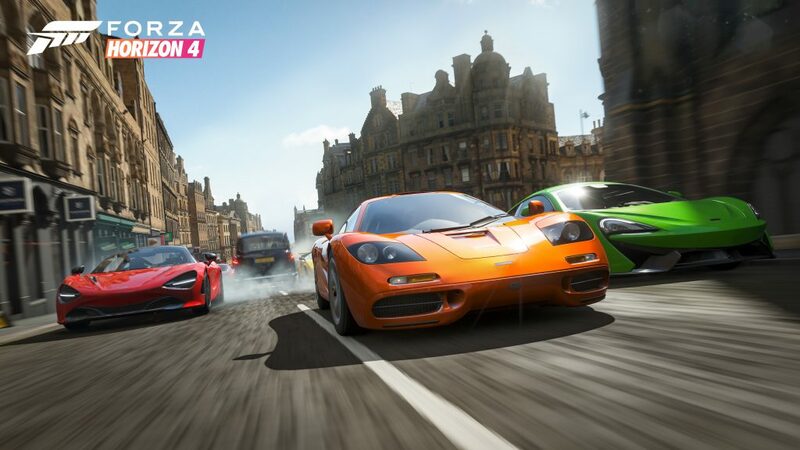 Multiplayer has always been a big draw for the franchise and in addition to much better organised multiplayer for online here, you get the ability to play on local wireless with anyone nearby on a Switch. The multiplayer here isn’t seamless like World where you can do quests with others or solo but it is a whole other set of quests. Regardless of whether you’re hunting solo or with friends or other people online or locally, the gameplay loop is as addictive as ever. In my testing both locally and online, the experience is lag free and pretty fantastic. This is a 3DS game that was ported to the Switch so while it does look really nice in many areas, the roots are pretty evident with small zones and loading screens in between them. A lot of the textures are also pretty bad in some areas. Thankfully the monsters and animations are great. In fact when it comes to performance, Generations Ultimate is rock solid which is something not even the PS4 Pro or Xbox One X managed to do with World. I know those are different games but it is disappointing that there’s still no rock solid performance mode on consoles for that game. The lack of a proper story will be a turn off for many people here. Sure, veterans will feel right at home but newcomers or fans of the franchise coming in from World will not be happy with this aspect. The other big issue stems from the fact that going back to Generations Ultimate after World is difficult thanks to a lot of the UI and quality of life enhancements not being present here. If you’ve played and enjoyed the 3DS entries, this will feel like a big upgrade and it is in almost all aspects but there is a lot that feels archaic after the modern conveniences in World. Overall, the lack of quality of life improvements seen in World is probably the only thing holding this back from something I can recommend to all fans of the franchise. If you skipped Monster Hunter: World for a portable experience, this is beyond worth your time and money. 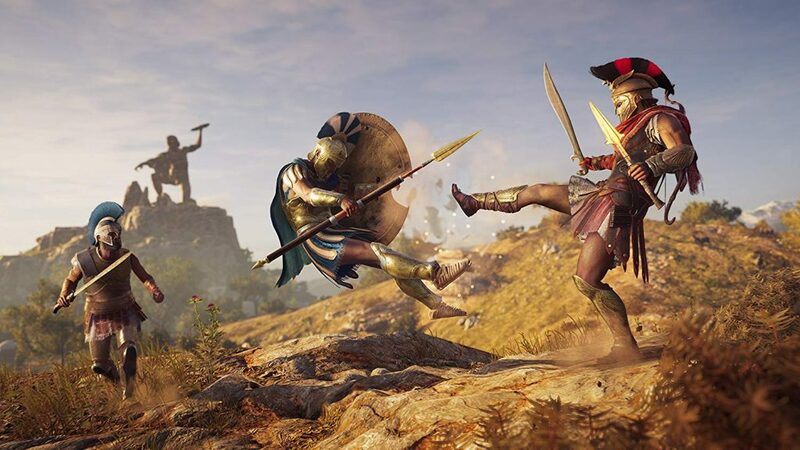 It has the potential to be your most played game on the system alongside the likes of Xenoblade Chronicles 2 and Octopath Traveler. There’s definitely room for both a traditional and a modern Monster Hunter experience today but the release timing is definitely not doing this game any favours thanks to a more modern franchise entry being available on other platforms. Yakuza Kiwami 2 is the fourth Yakuza game we are seeing on PS4 after what felt like a period where the franchise had no future in the West. Yakuza 0 is one of the best games this generation and the subsequent two releases in the form of Yakuza Kiwami and Yakuza 6 have been excellent but the magic from 0 was missing. Fast forward to today and Yakuza Kiwami 2 is nearly available to everyone on PS4 and this is everything I’ve wanted in a Yakuza game since 0 blew me away. 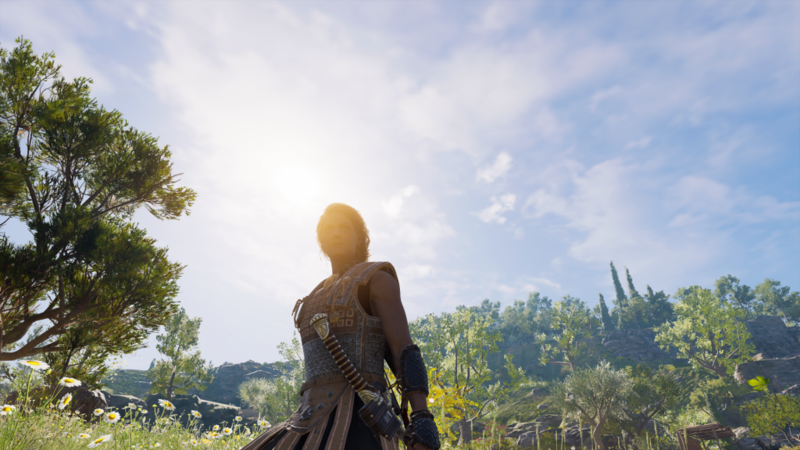 I wrote about my initial impressions of the first four chapters here and having completed the game and spent a good amount of time exploring and doing extra side content, I can safely say that this is a game of the year contender. 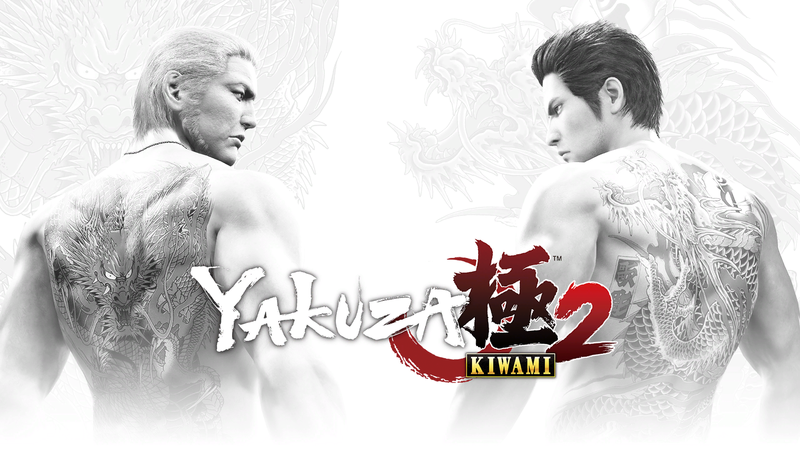 Yakuza Kiwami 2 is a full remake of the PlayStation 2 entry that followed the original Yakuza that saw its own remake in the form of Yakuza Kiwami last year on PS4. The difference is Kiwami 2 is a full remake in the stunning new Dragon Engine built for PS4 and Yakuza 6 and not a cross generation one that we saw in 0 and Kiwami. While 6 had some performance and visual issues, I’m glad to see the team has nailed the visuals and performance here. The content additions and enhancements across the board make this the most gorgeous Yakuza game ever that also happens to play brilliantly. After a nice recap of the events of Kiwami (you can still play this without any prior Yakuza game experience), Kiryu finds himself back in the fray despite wanting out with a war brewing. The Omi Alliance and Tojo Clan are nearing an alliance until the antagonist of Kiwami 2 and one of the best written antagonists in recent times Ryuji Goda makes his presence felt. Even their first encounter together is fantastic. Without getting into any spoilers, the overall pacing and plot are both excellent. The only annoyances in the main story come from a few missions that feel tacked on mechanically. Kamurocho and Sotenbori are beyond stunning with a ton of things to do across various minigames and side activities. Outside of Kiryu’s story, Yakuza 0 fans will have a lot to love with the new Majima story that unlocks as you play the main game. This is a prequel that showcases how Goro Majima ended up where he is in Kiwami 2 and has a few superb moments for fans of his character. I wish there was more of this. While Yakuza 6 made combat feel a bit more intimate and removed the extra combat styles leading to some disappointment for fans, Kiwami 2 adds a new mechanic that keeps things fresh. 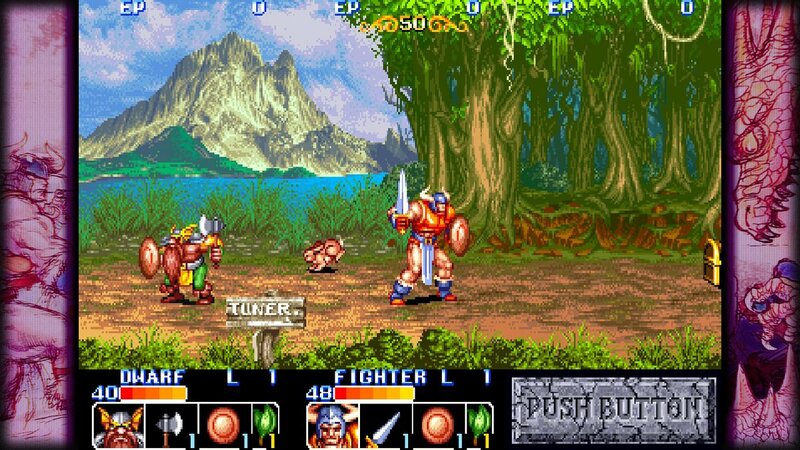 Armour and weapons are important here and play a big part in some boss fights. 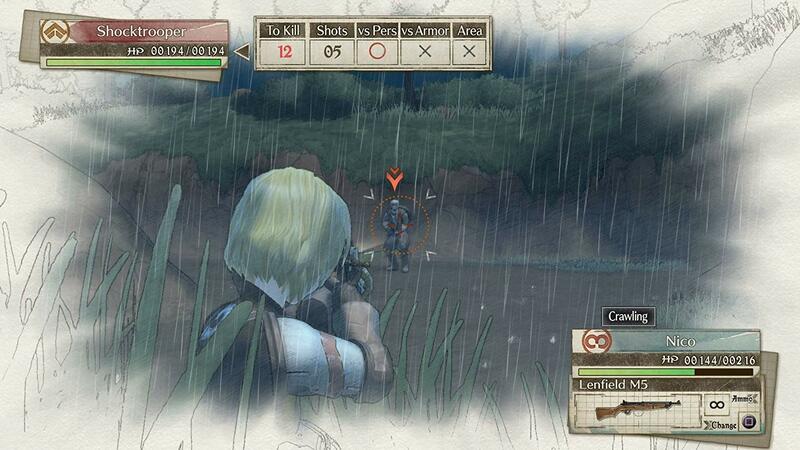 You find weapons scattered across some areas and can now store a few for easy access with the dpad in combat. 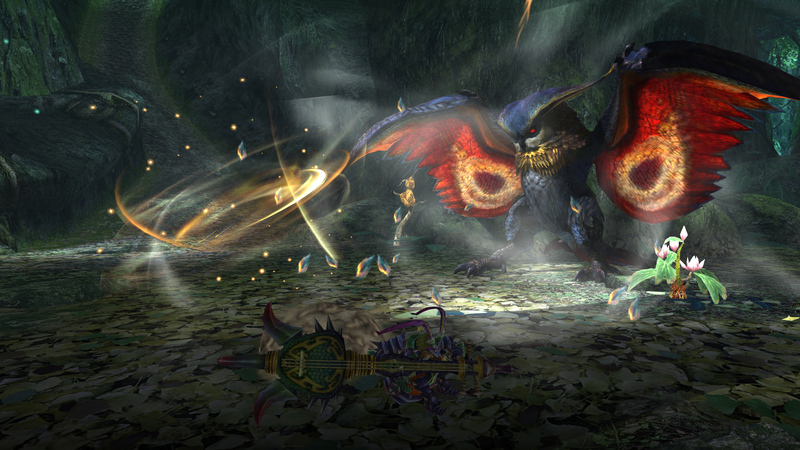 Some boss battles got over much faster thanks to me having a few good weapons stocked up for when I needed them. There are now heat actions with weapons that are triggered through NPCs which are hilarious. Majima has his own brilliant heat action and animation with his weapon in his story. 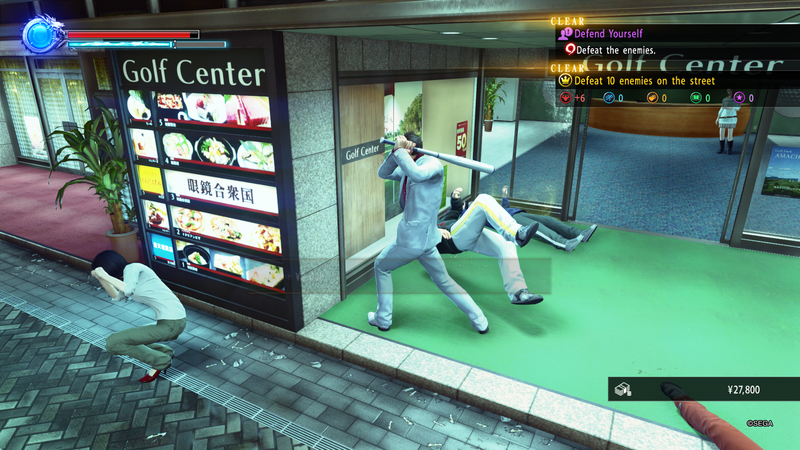 When you’re fighting alongside someone else as Kiryu, the dual heat actions are a sight to behold. 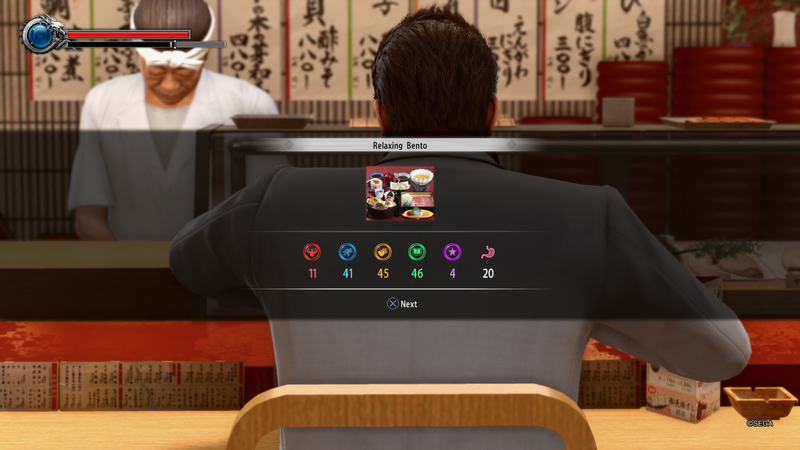 As Kiryu, you raise stats through missions and side activities but can still enjoy gaining various points through beverages and food across both locales. Walking seamlessly into a restaurant to eat and then exiting after gaining some stats never gets old. Exploration feels so much better here with a more stable frame rate and no screen tearing. Locker keys scattered around help you with some good armour, weapons, or items you can sell. Minigames and substories are always a highlight for me in Yakuza games. Kiwami 2 goes above and beyond here. While I will never stop lamenting the disco minigame going away (I know time periods and all), you will never be board of stuff to do outside the main story. There are 76 substories going by the completion list and after 43 hours of game time I’ve only managed doing 30 of them. The one where you get photographed in an office room will never stop being funny. One substory had someone get beat up over a car while another had a guitarist on a bridge who wanted tissues for his cold. There’s just too much good stuff in these side quests that make exploring and interacting work worth your time. Visually, the dragon engine has never looked this good before. 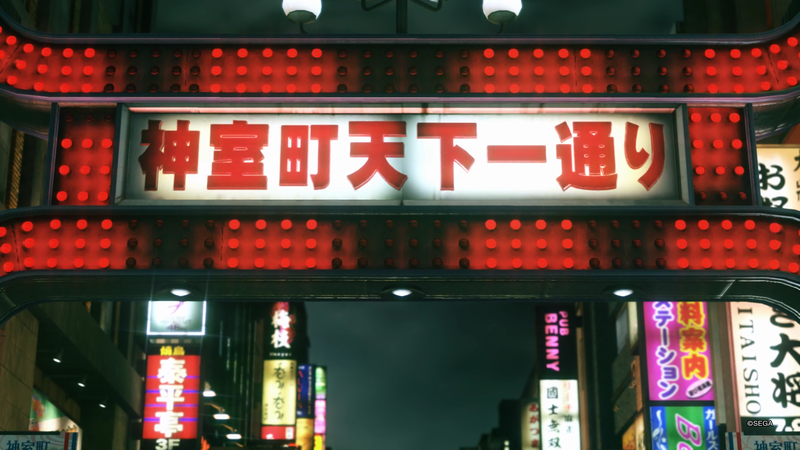 Yakuza Kiwami 2 is the best looking SEGA game by far and the attention to detail in the various narrow streets, food joints, and minigame locations is amazing. Gone are the screen tearing and minor stutter seen in some areas on both PS4 consoles in Yakuza 6. Kiwami 2 is a super polished experience when it comes to visuals and character modes. Watching some PS2 gameplay footage after playing this has been crazy. Kiwami 2 feels like the Shadow of the Colossus PS4 remake but with a lot more new content and enhancements. 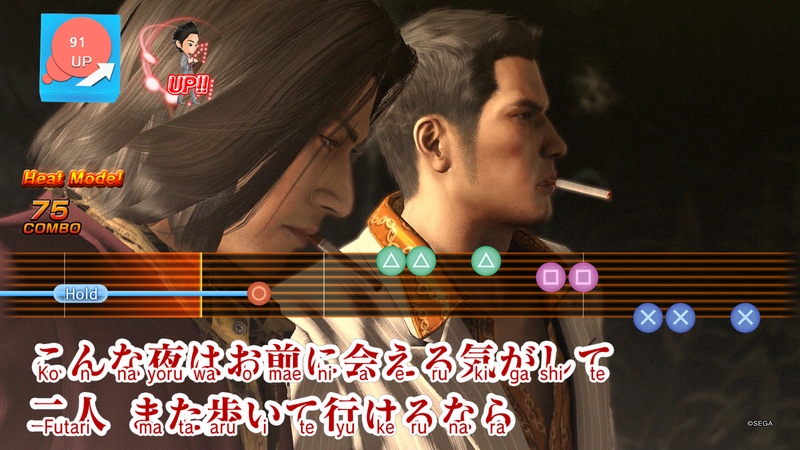 I usually discuss how good the battle themes and karaoke songs are here but the highlight for me with Kiwami 2 is SEGA finally licensing the main theme and ending credits music for a Yakuza game. “Bubble” being removed from 0 and “Atom no Ko” being removed from Yakuza 6 were disappointing. I’m glad to see SiM’s songs present as the main theme and the ending credits music for Kiwami 2. I bought the single on iTunes almost instantly after seeing the credits roll. Without going into spoilers, the final boss theme is emotional and it reminded me of a moment from Metal Gear Solid 3. The one thing I didn’t like here is the design for a few of the missions. Yakuza 6 had the annoying baby mission and Kiwami 2 has a few missions where you have to either walk wounded or carry someone with the health bar depleting and basically try and avoid people and enemies. These few missions are the only real blemish on this superlative game. Overall Yakuza Kiwami 2 is a stunning game with an unforgettable story. If you’ve been waiting for a game to live up to your high expectations from Yakuza 0, this is it. It is still beyond crazy that this is the fourth Yakuza game in less than 2 years and we have a fifth game from the same developers in Fist of the North Star: Lost Paradise coming to PS4 in October. With Kiwami 2 SEGA gets everything right and they have definitely learned from the last few games in the franchise for this gorgeous remake. 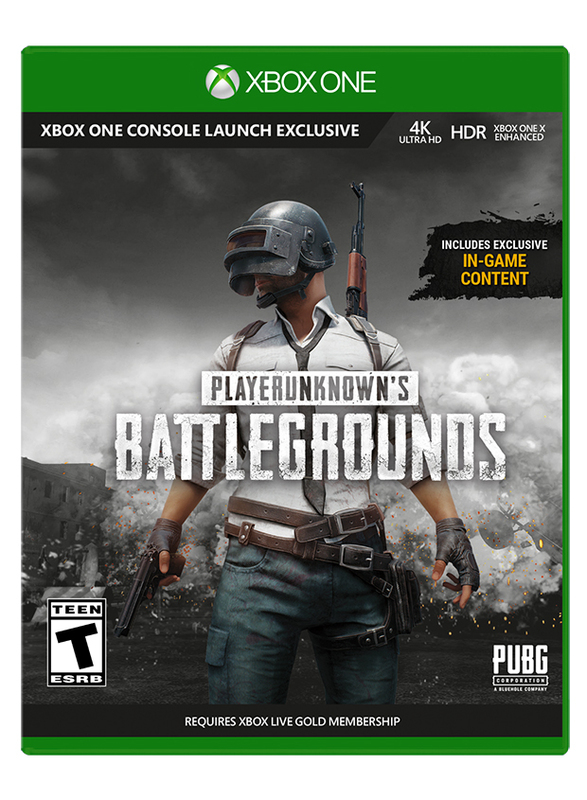 Microsoft and PUBG Corp. finally revealed the 1.0 date for PUBG on Xbox One. It hit early access through Game Preview on Xbox One in December. Read our thoughts on that Game Preview release here. The 1.0 release includes War Mode, the Sanhok map, improvements across the board, and more additions including the Event Pass and more cosmetics. 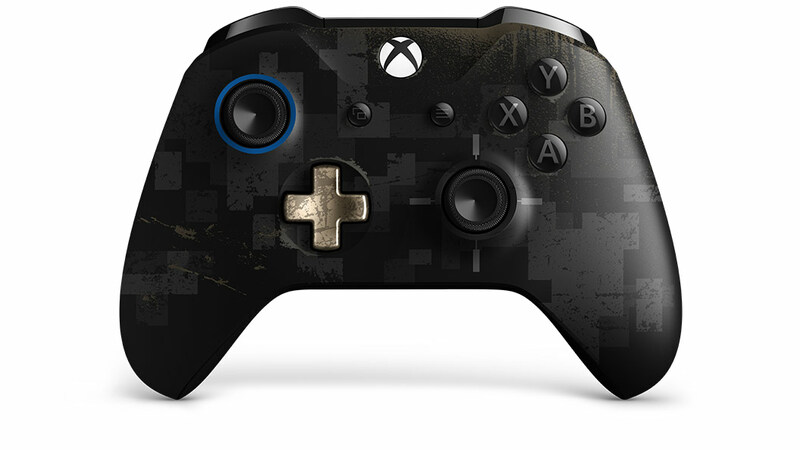 October 30th will see a limited edition PUBG controller as well.